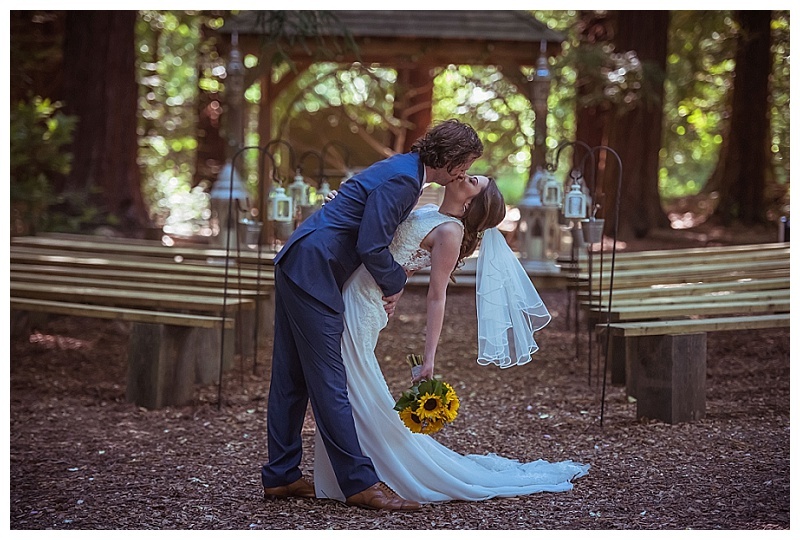 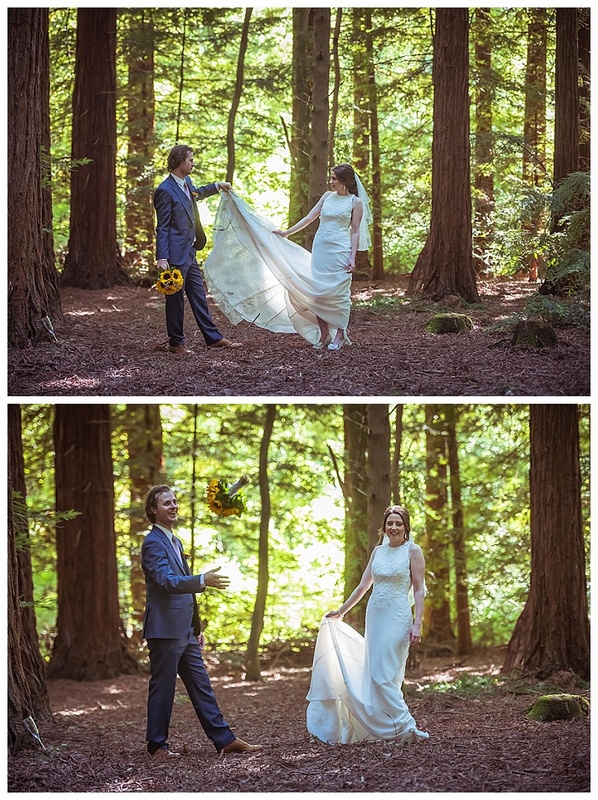 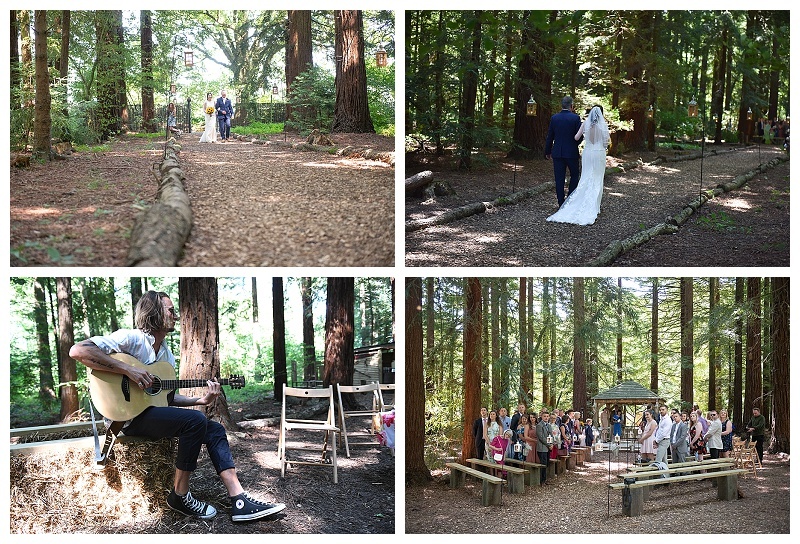 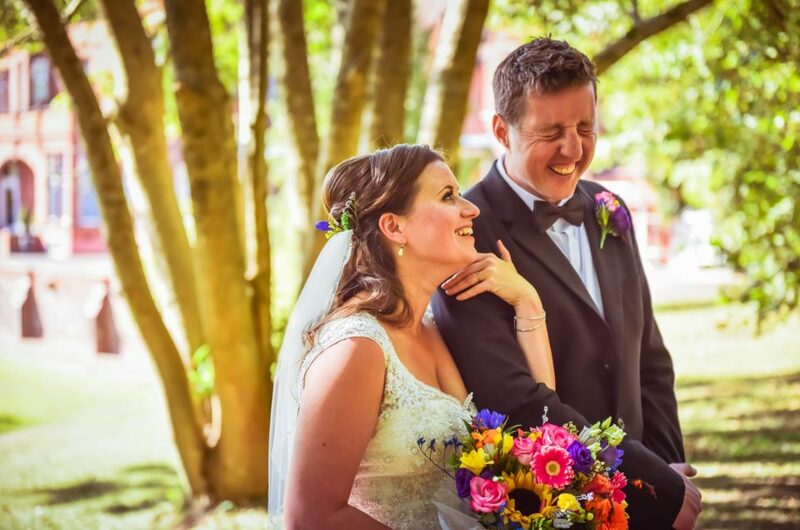 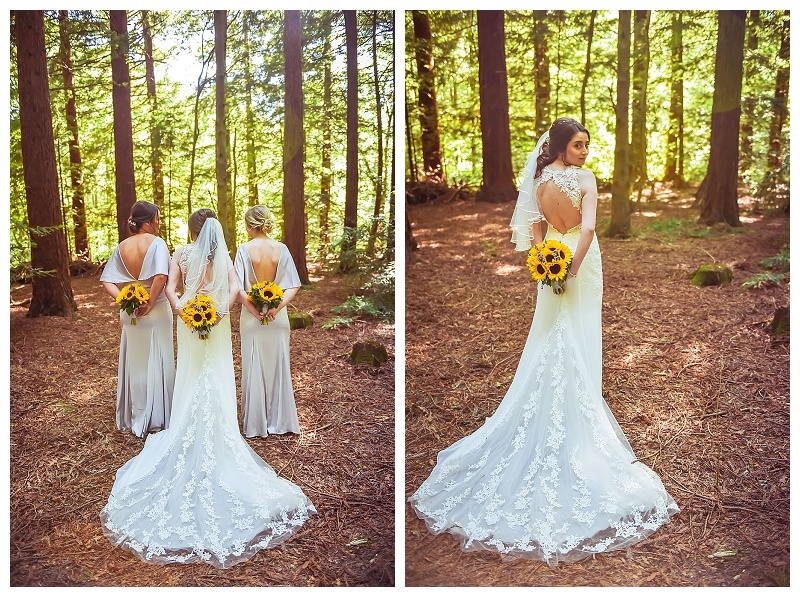 A growing trend for weddings in the woods and in the countryside under a tree canopy. 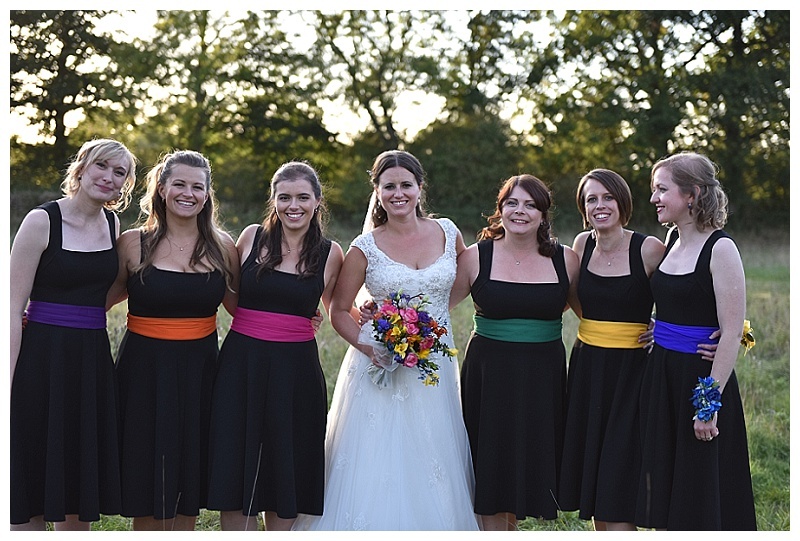 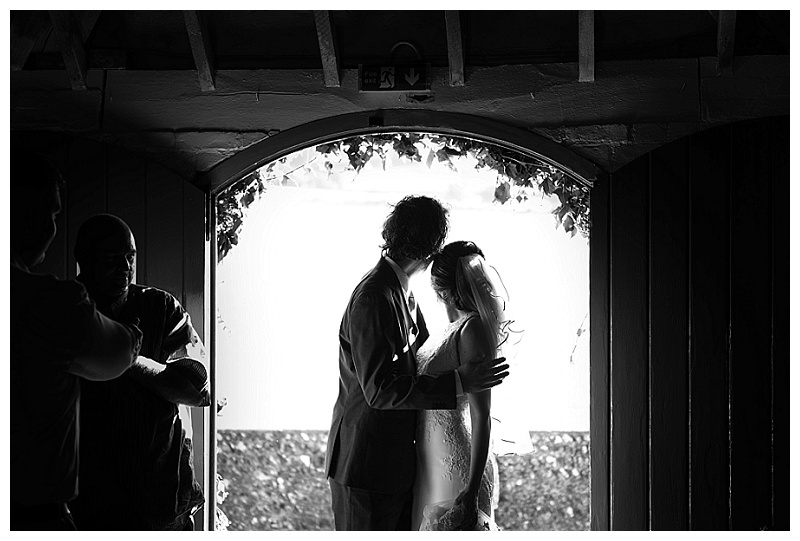 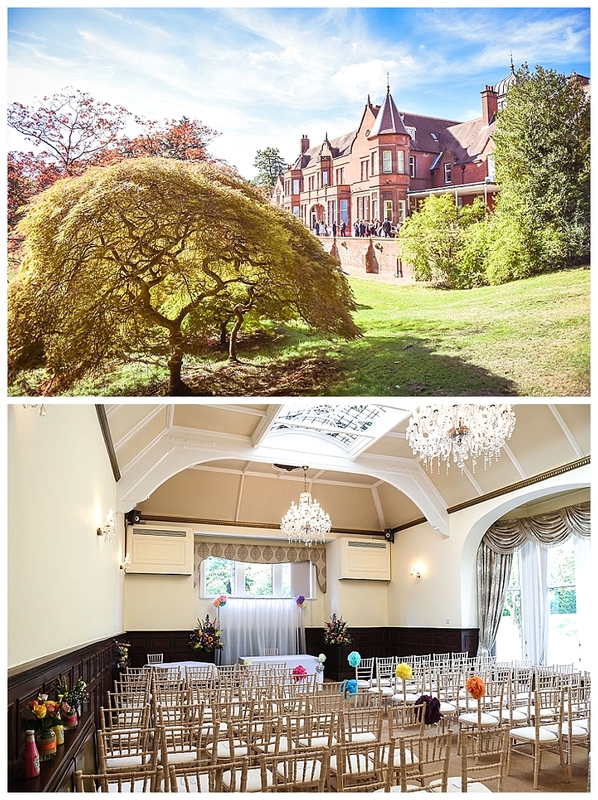 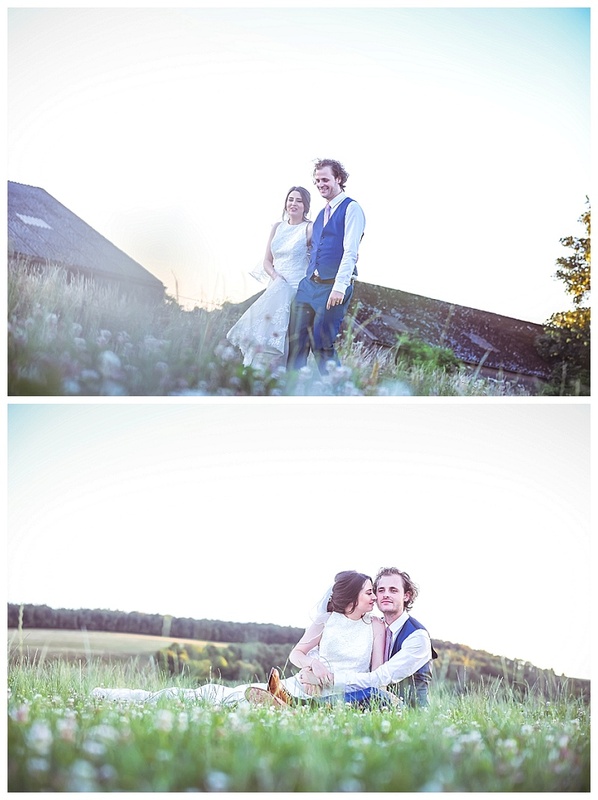 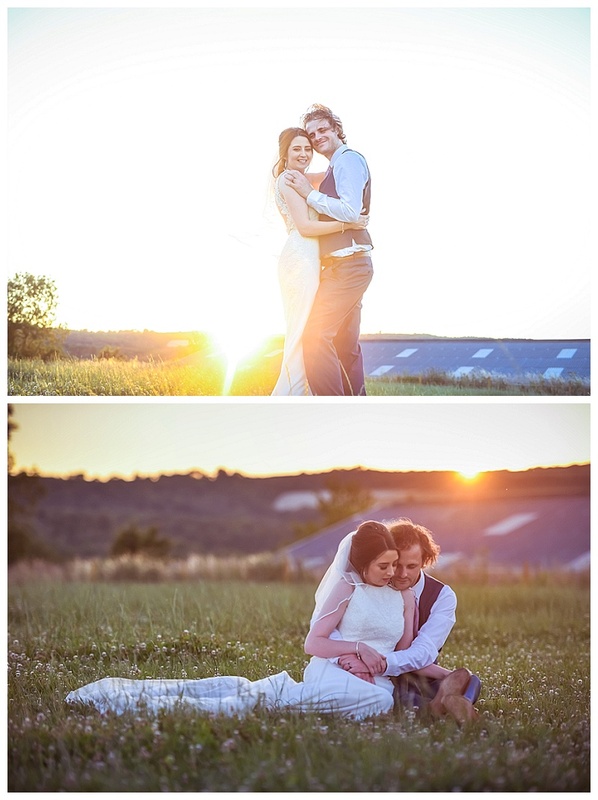 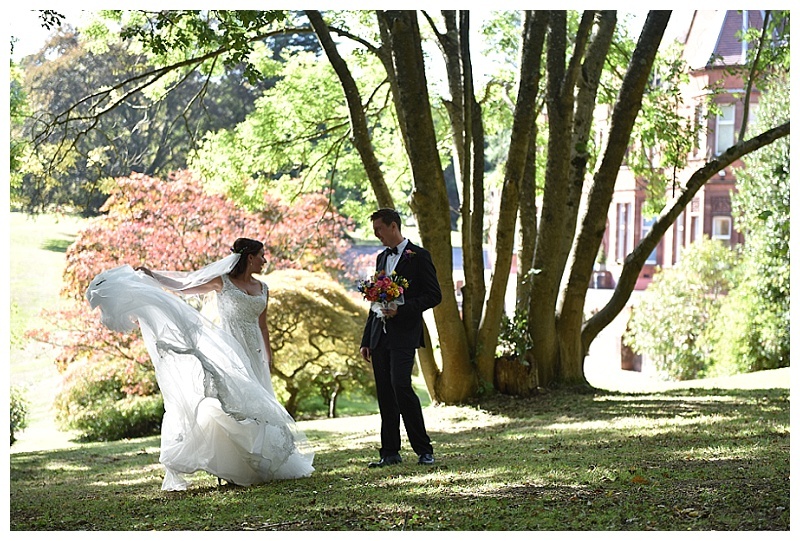 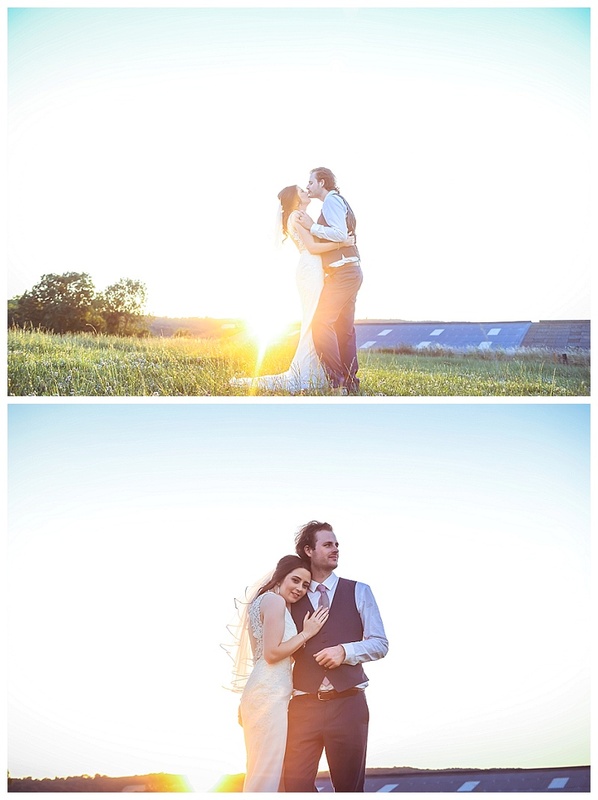 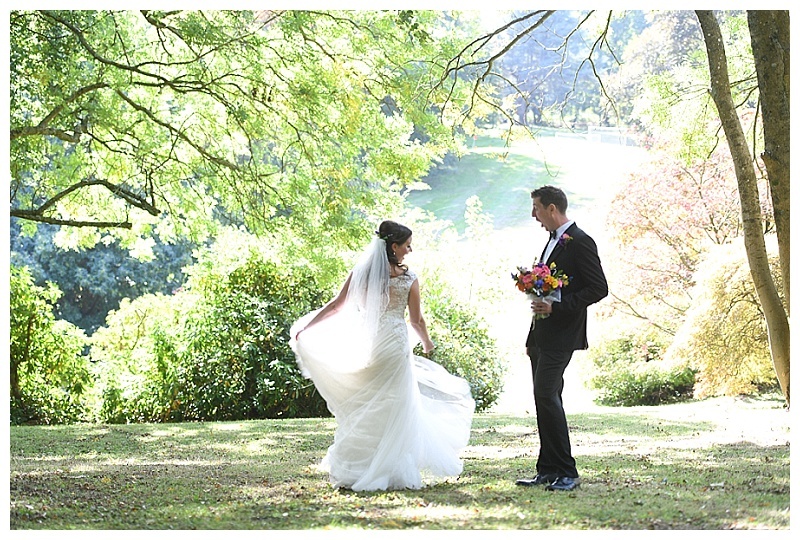 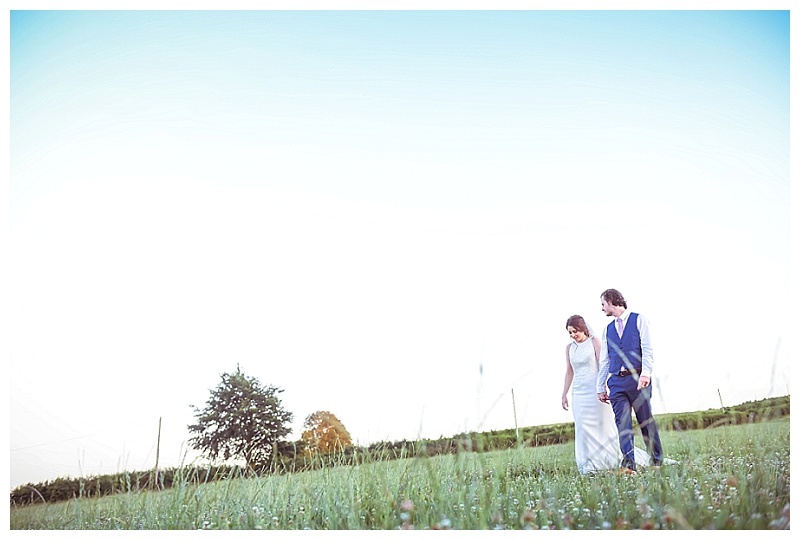 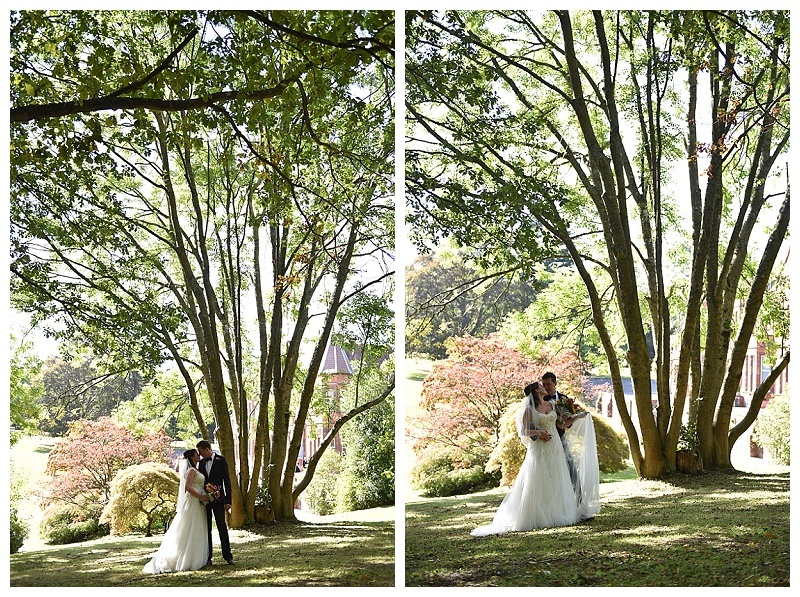 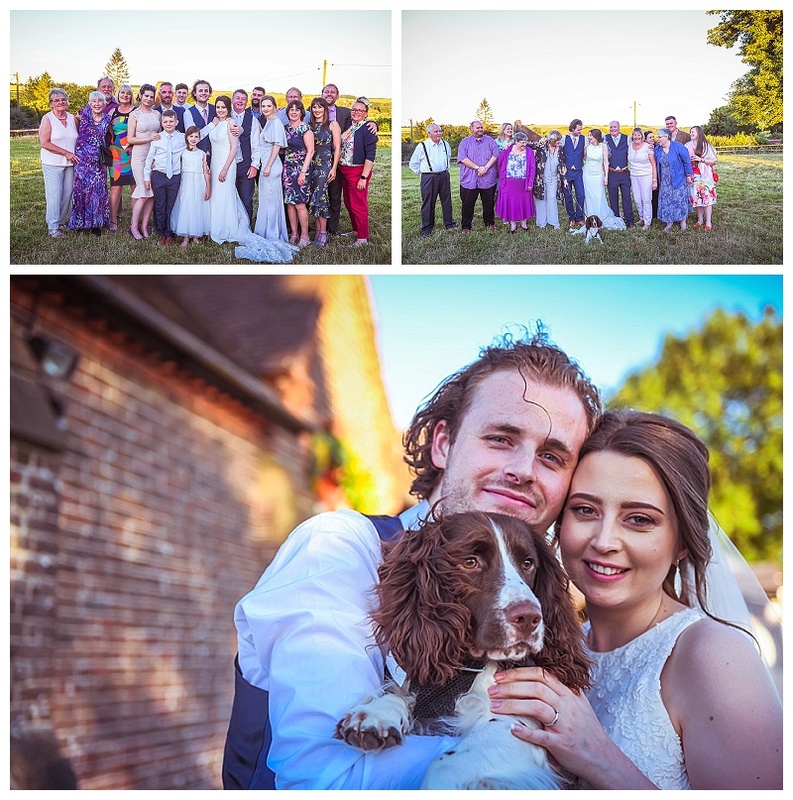 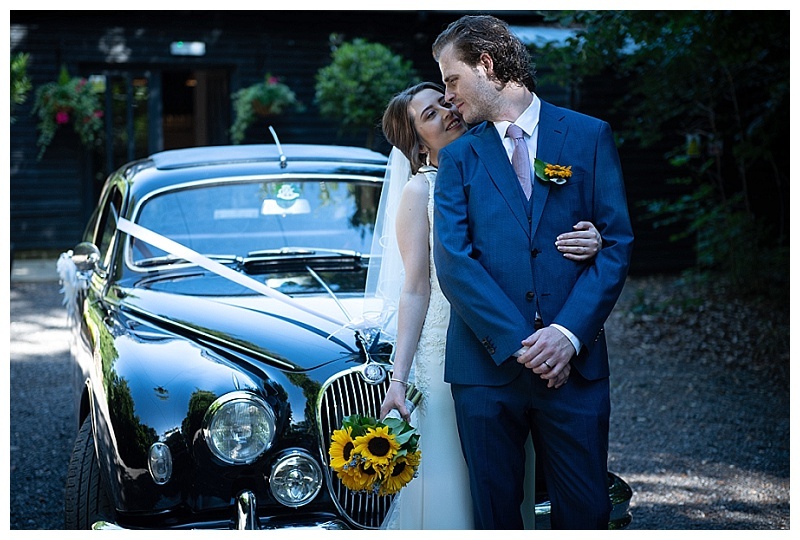 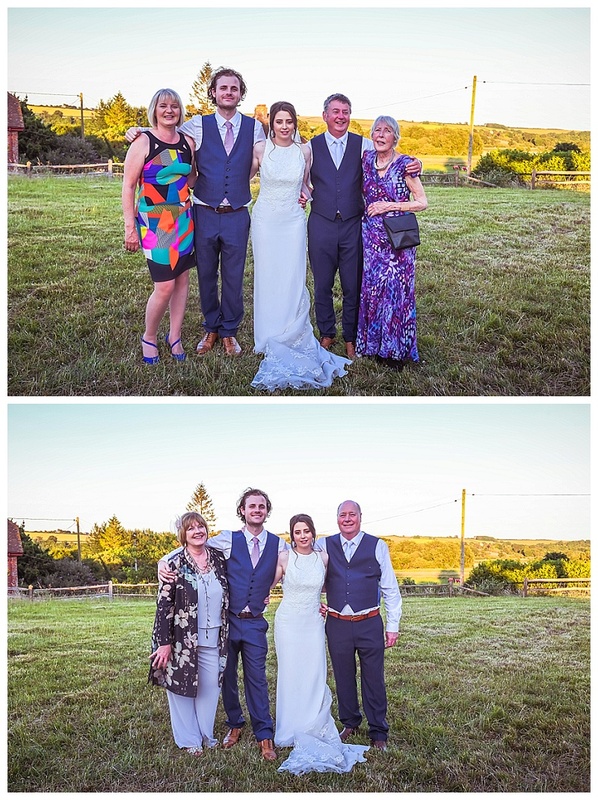 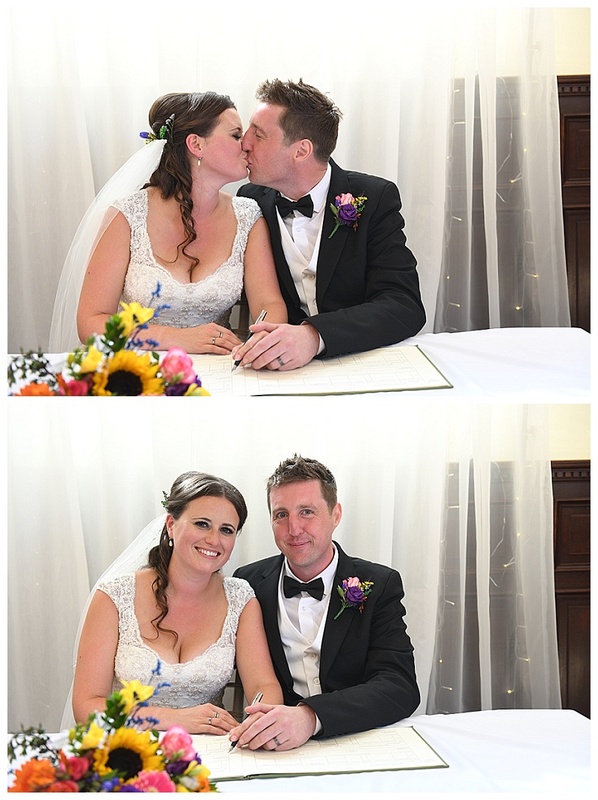 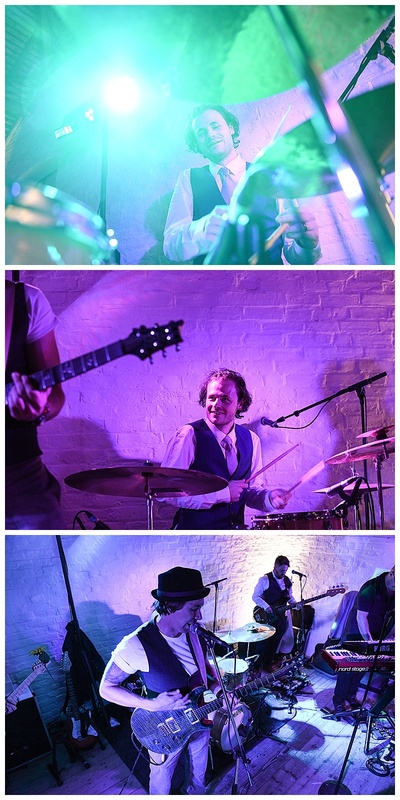 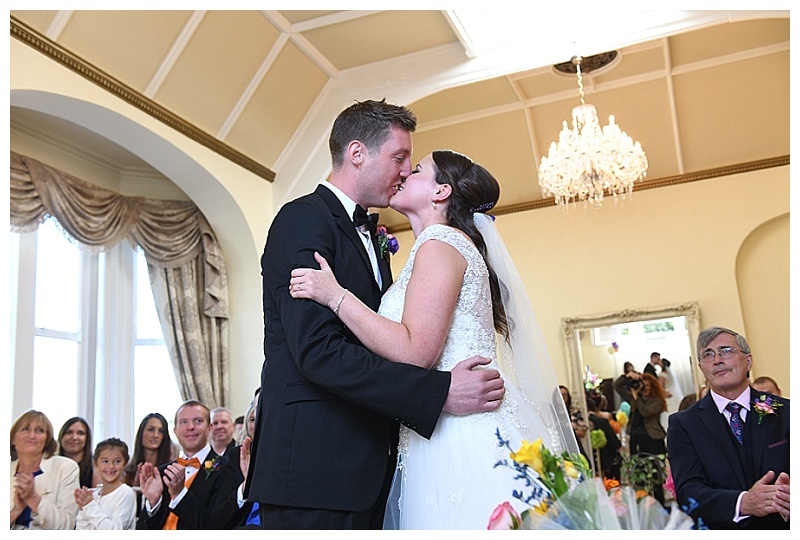 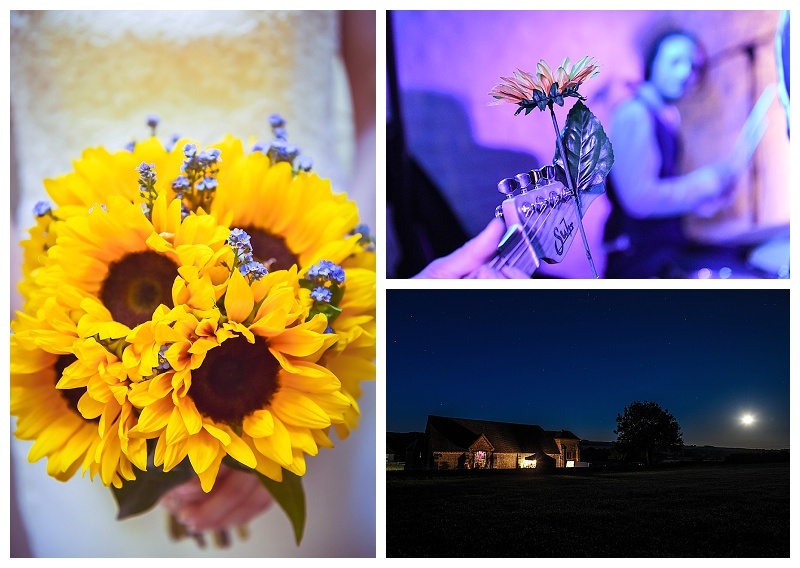 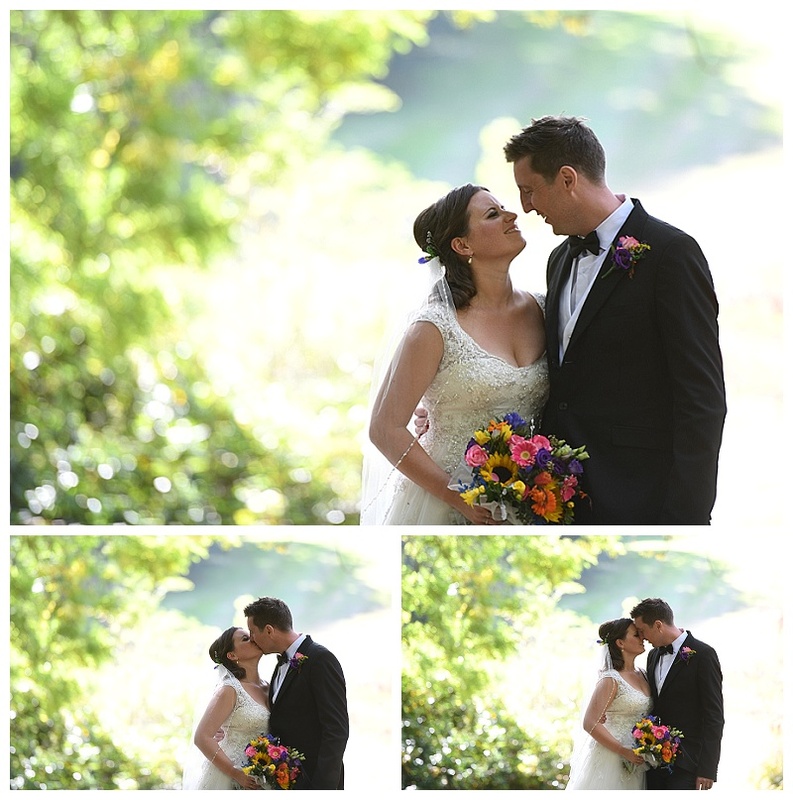 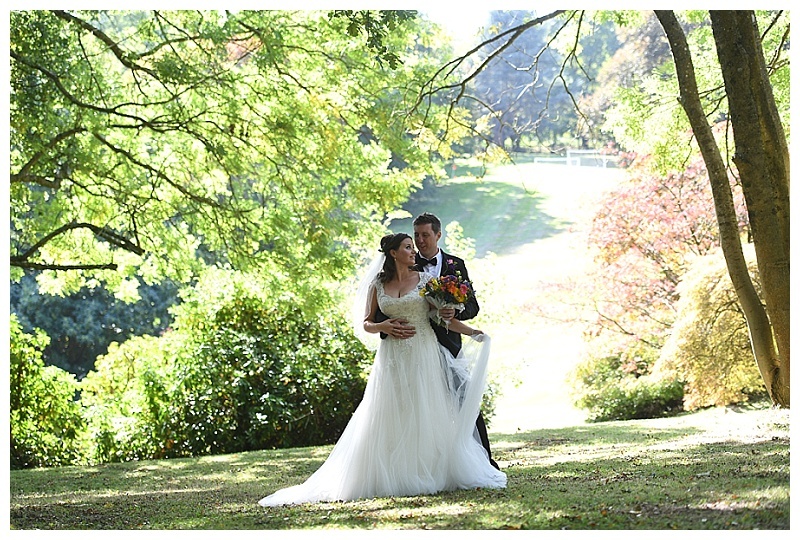 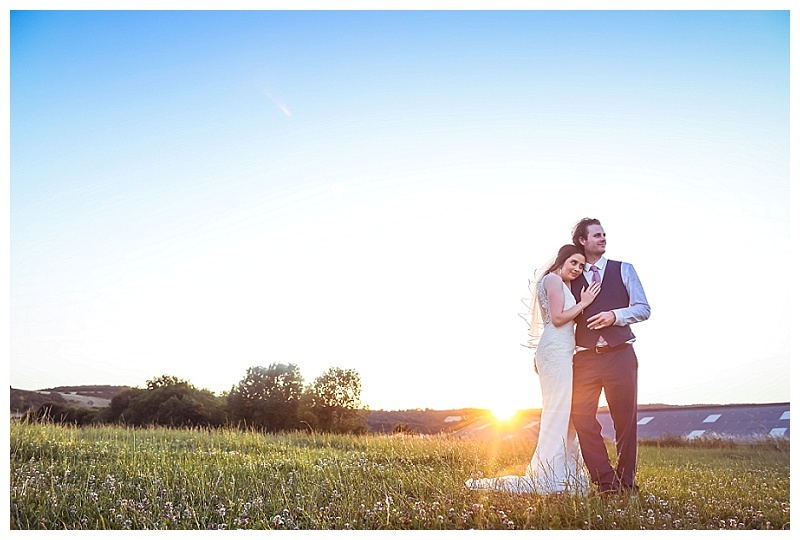 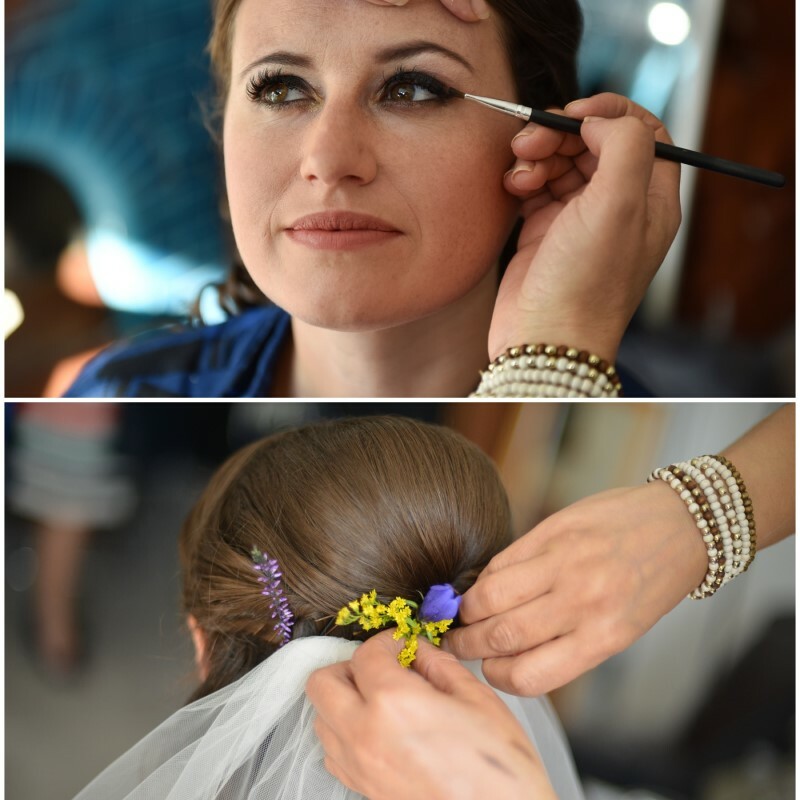 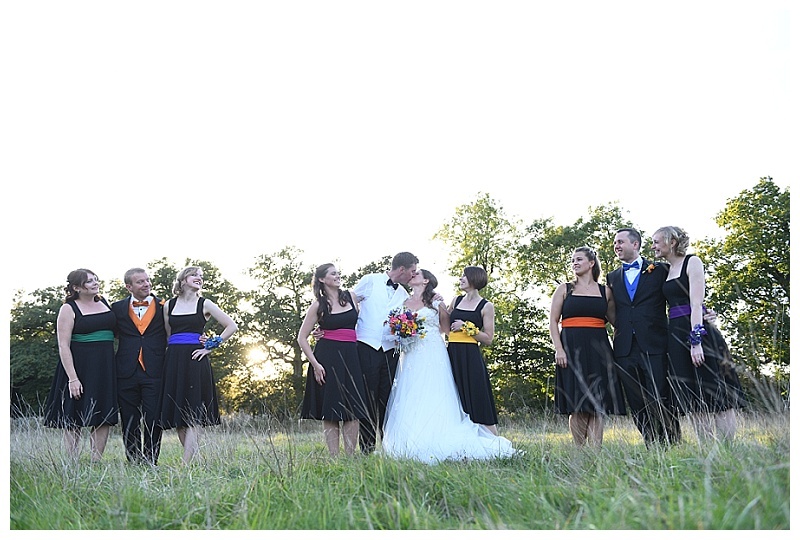 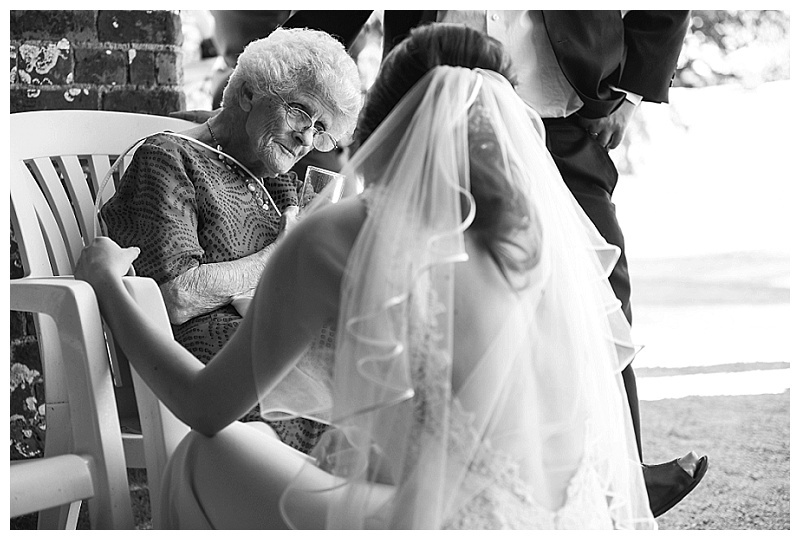 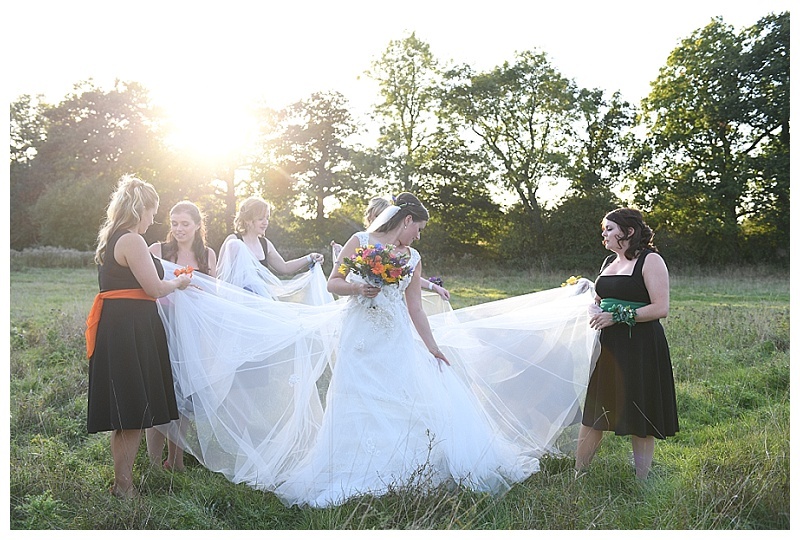 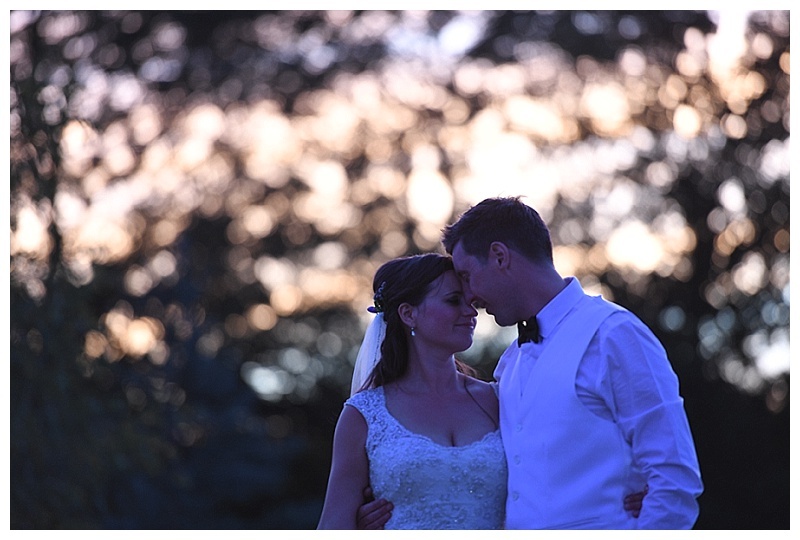 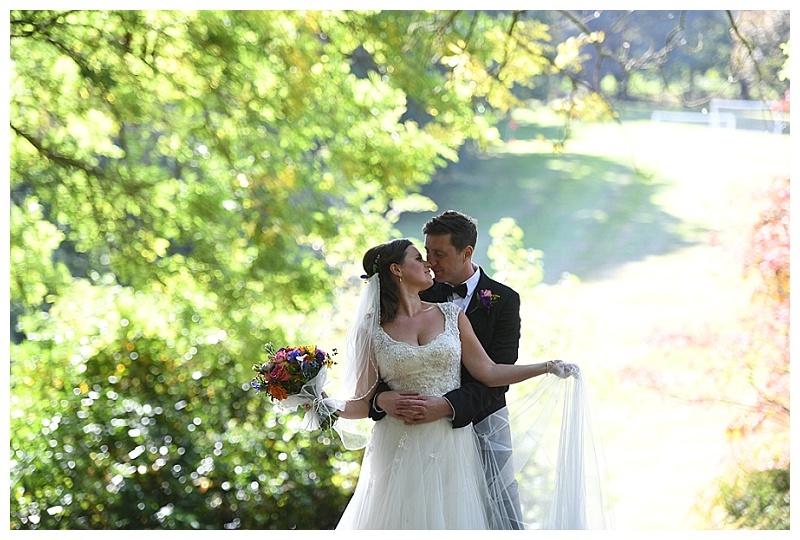 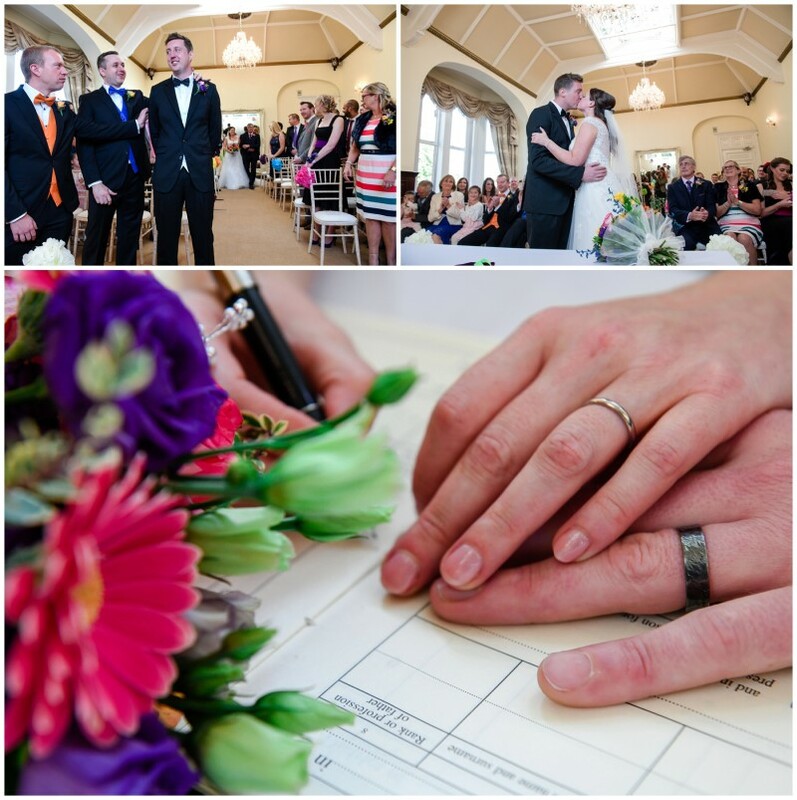 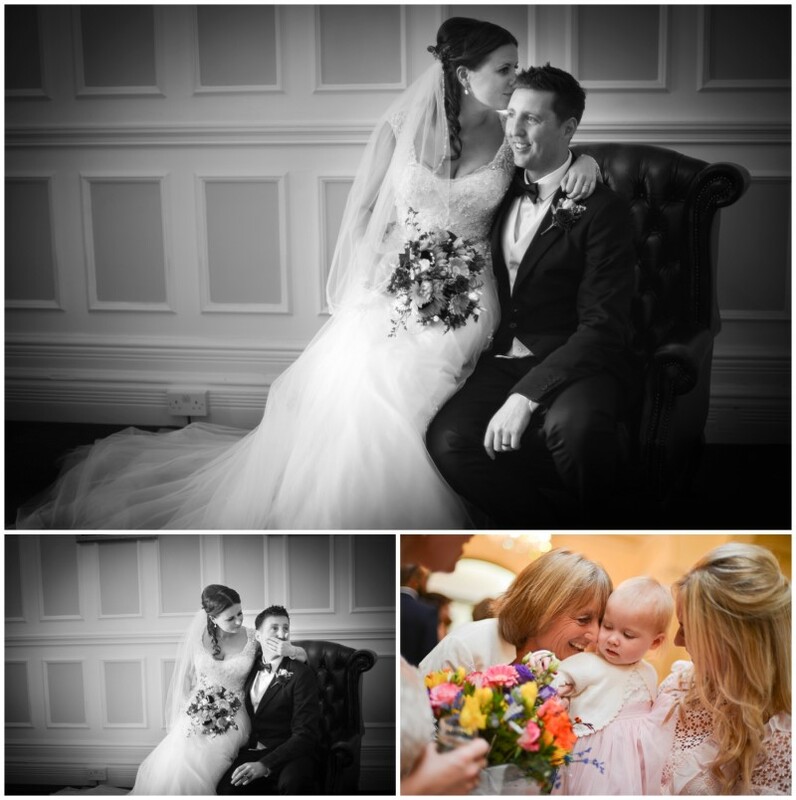 West Sussex has many suitable wedding venues for this style and Zest Photography have photographed quite a few. 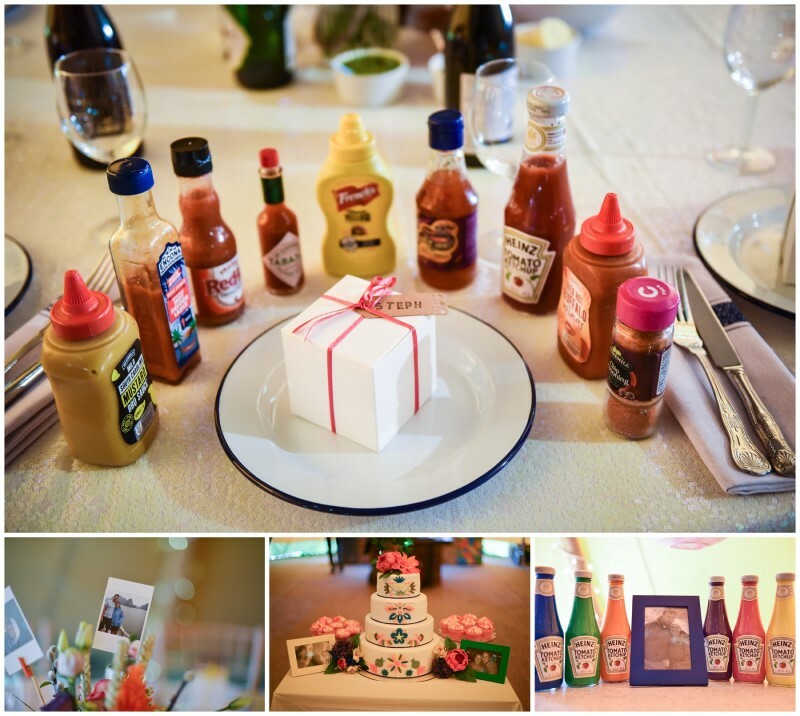 Stephanie and Alan’s day was full giggles and colour and was a treat to be a part of, made up of sugar and spice and everything nice and a little ‘POW’ of chilli. 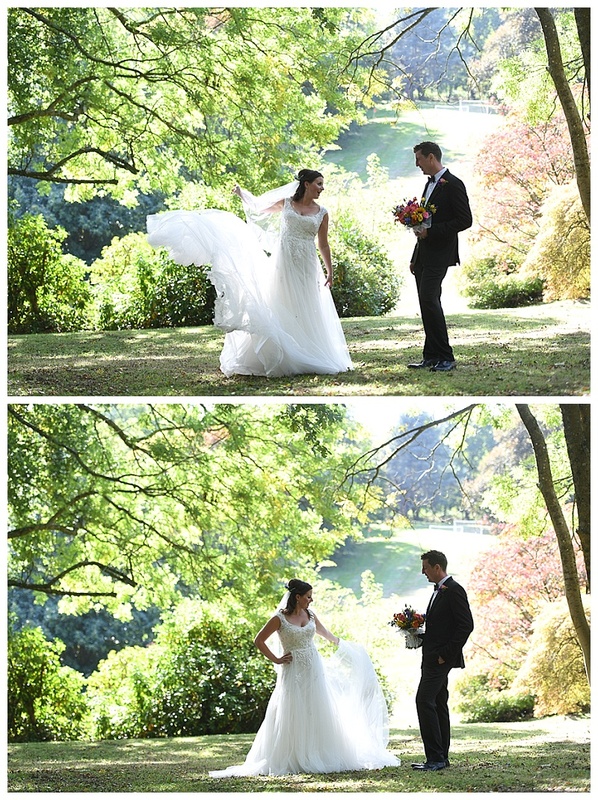 So come with me as I walk you through this event. 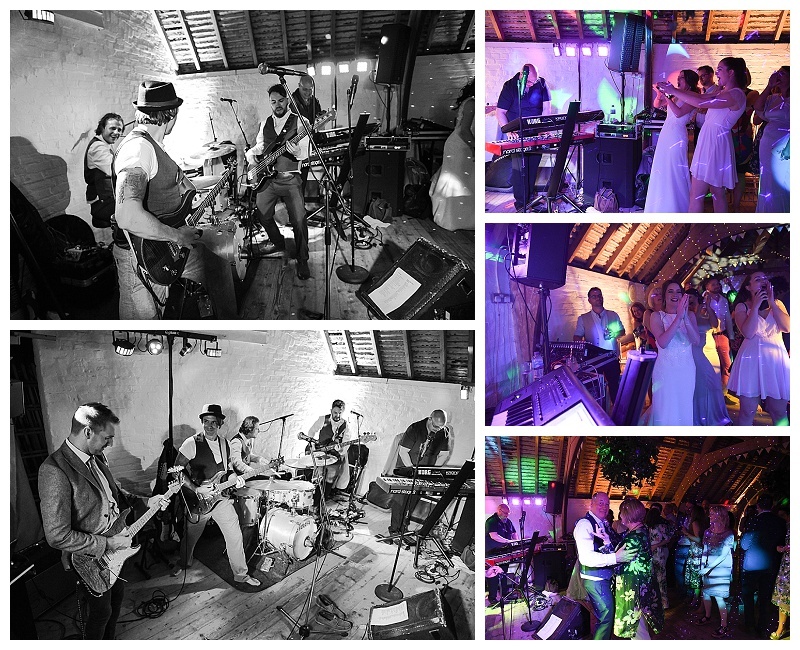 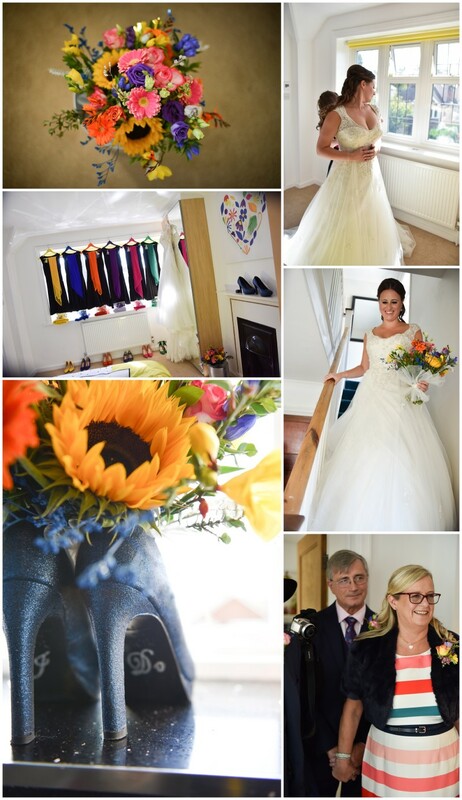 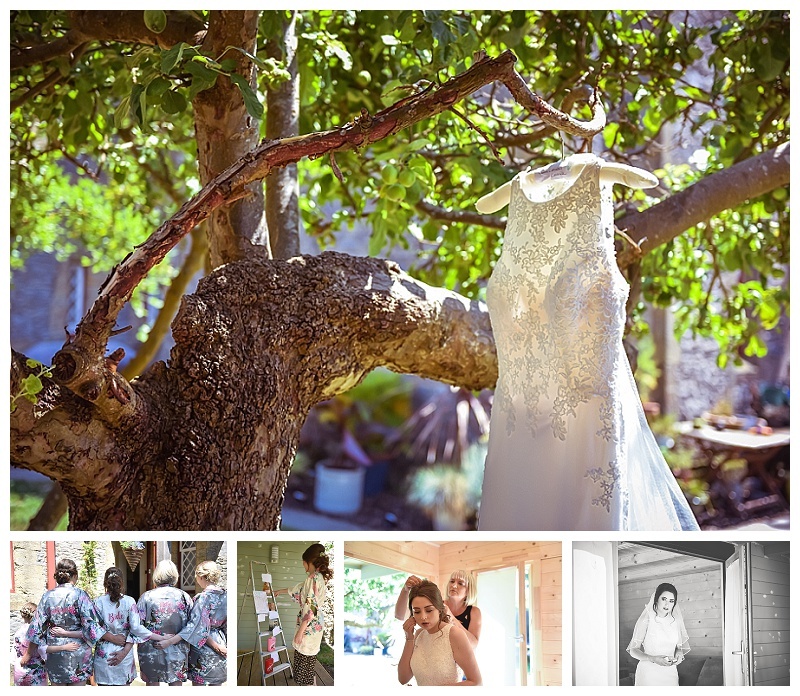 It began at this beautiful gin lover’s house as she was surrounded by friends and family while they started to get ready, hair and make-up were done, while her father and brother prepared the most wonderful brides breakfast and the colour pop flowers arrived, lovingly made by Sheila (Mother of the Groom). 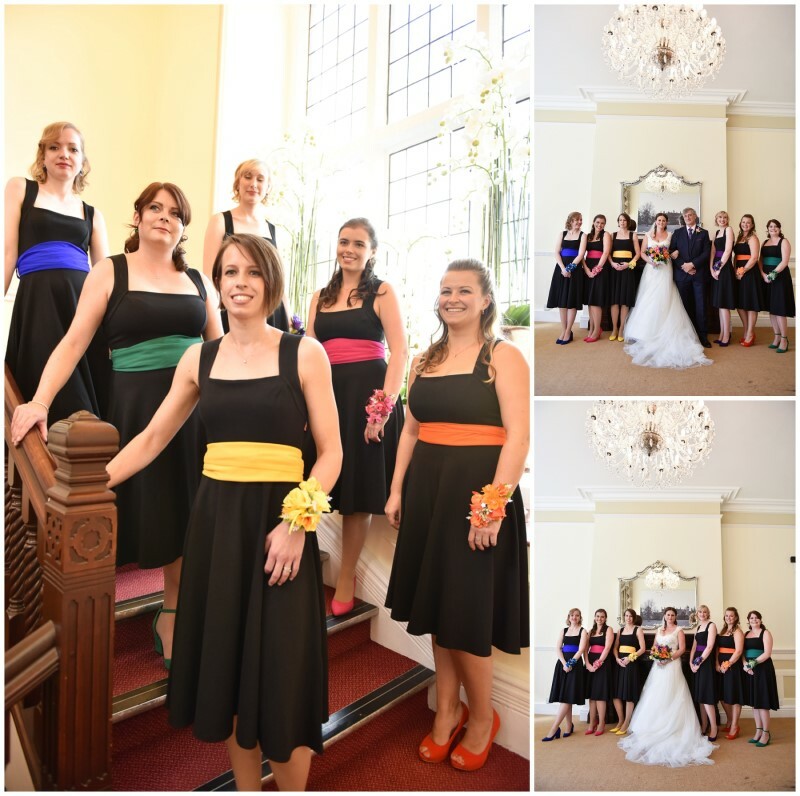 The bridesmaids dressed in their BLACK dresses each with their own unique colour pop sash, matching shoes and accessories and someone mentioned they looked like Liquorish All sorts but we concluded much more Power Puff girls… It really worked regardless of the jokes they looked stunning… The effortlessly beautiful bride slipped into a gorgeous gown and after momentarily making her parents well up with pride in her reveal she was set to go be Alan’s wife. 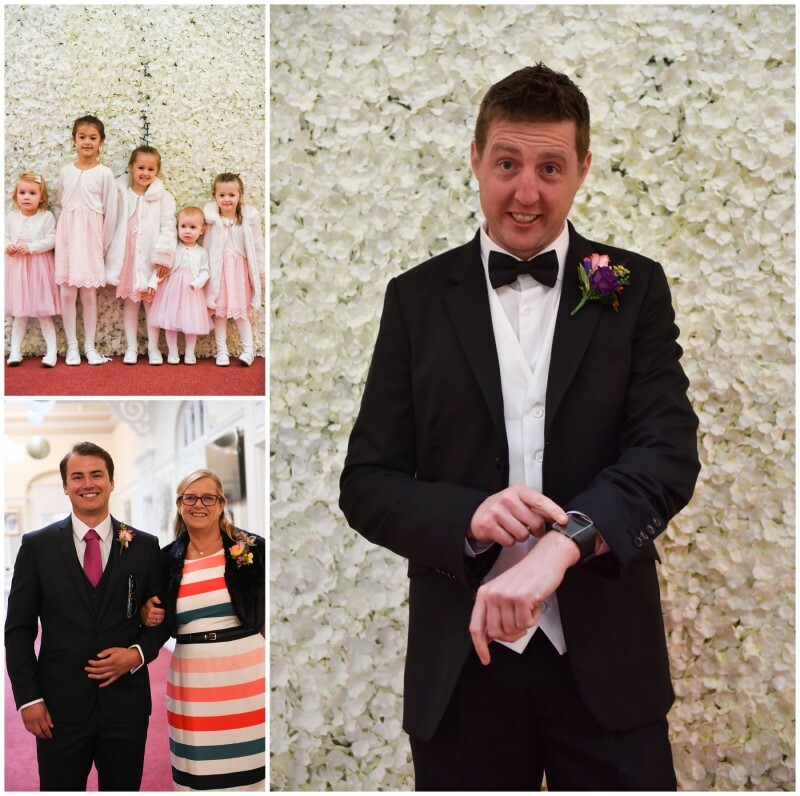 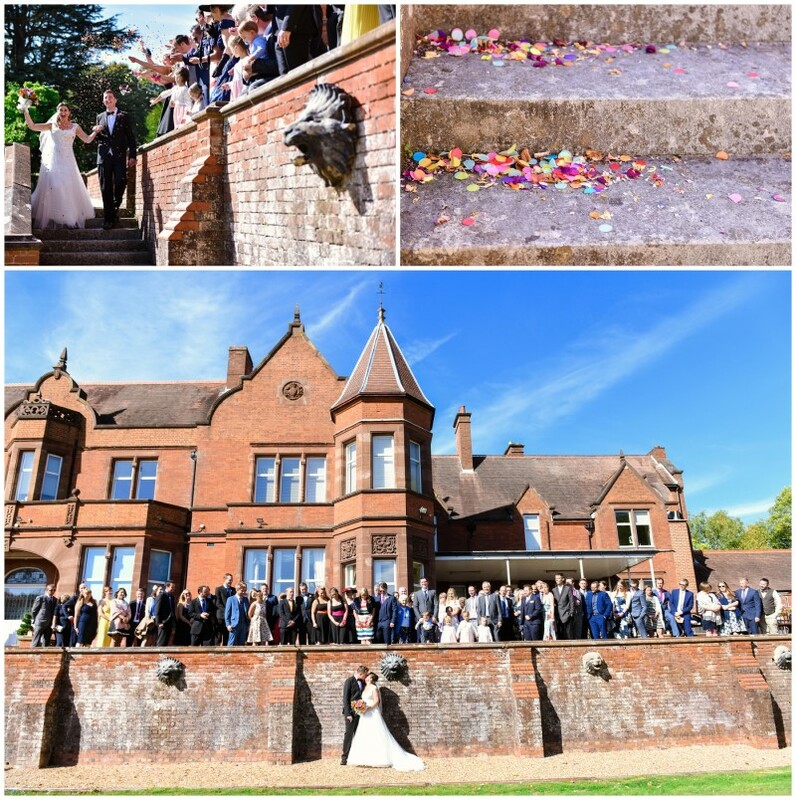 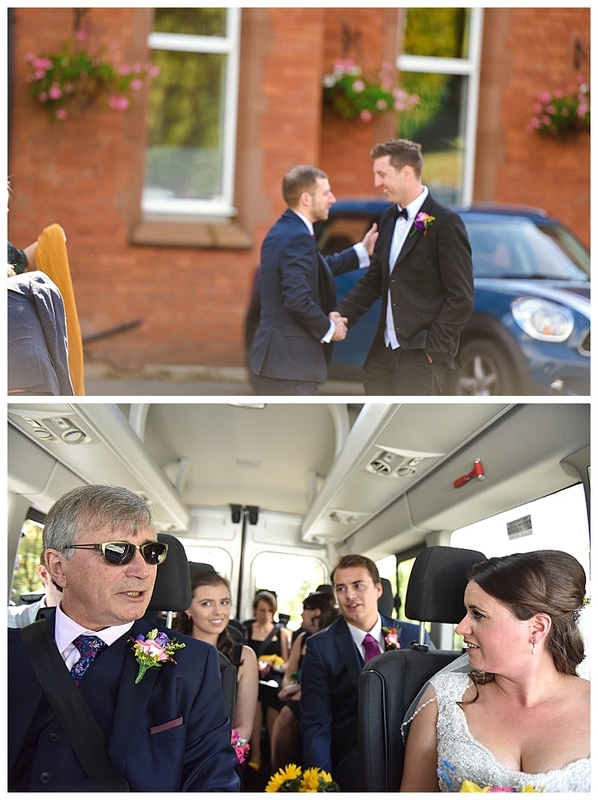 We arrived at Robert Denholm House, a Victorian mansion with wonderful views, and Stephanie, surrounded by friends and family (and the Power Puff girls) married herself a husband. 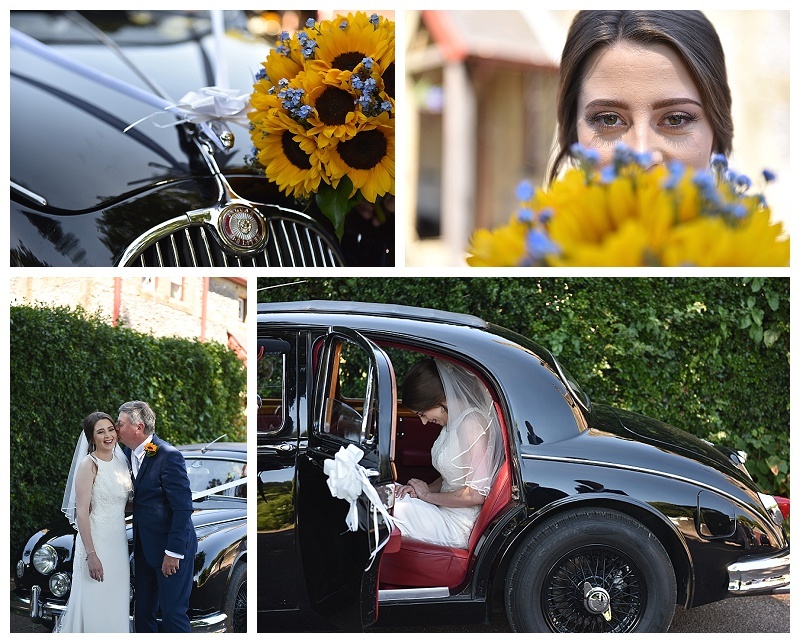 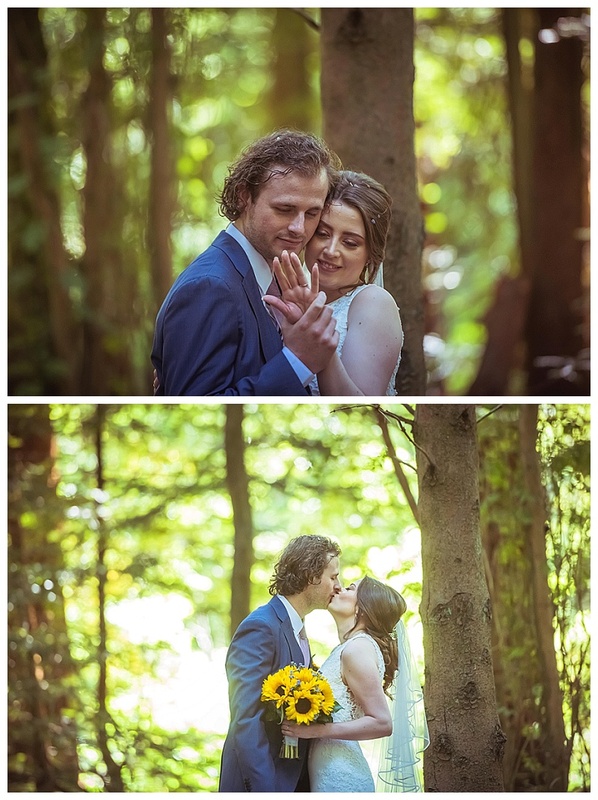 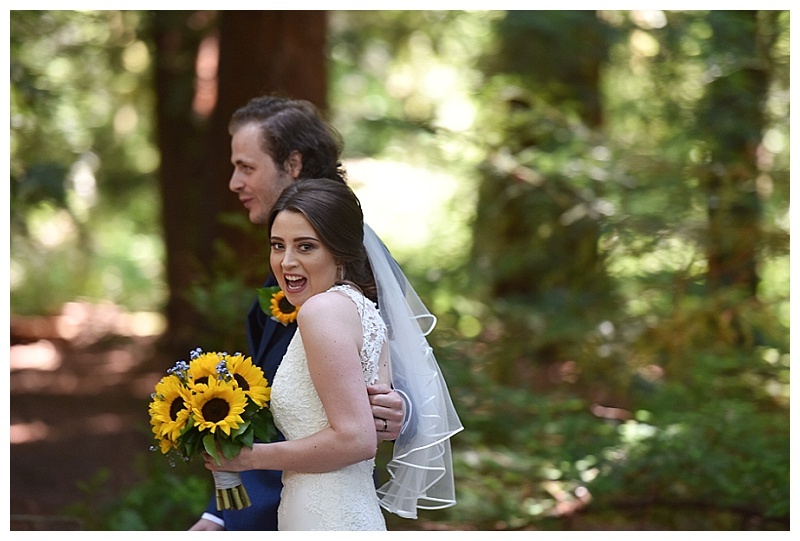 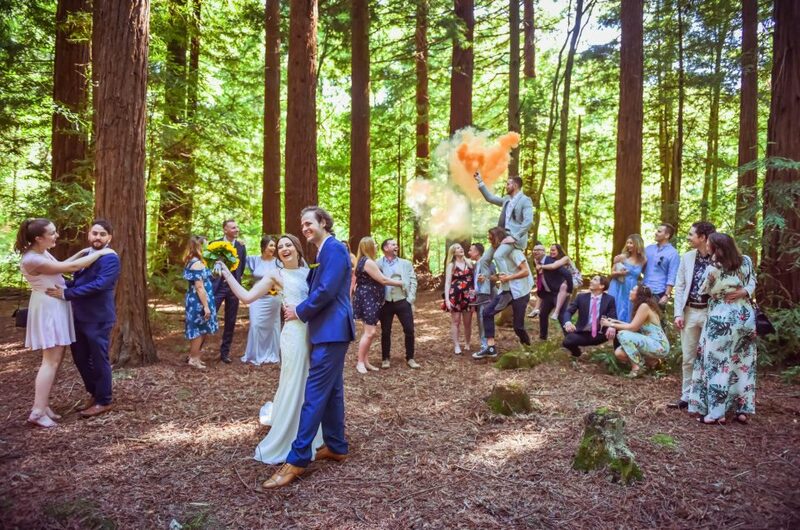 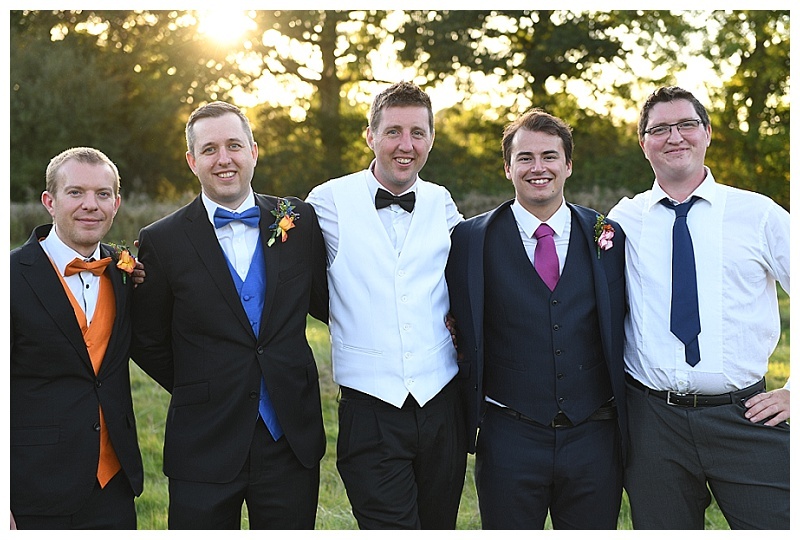 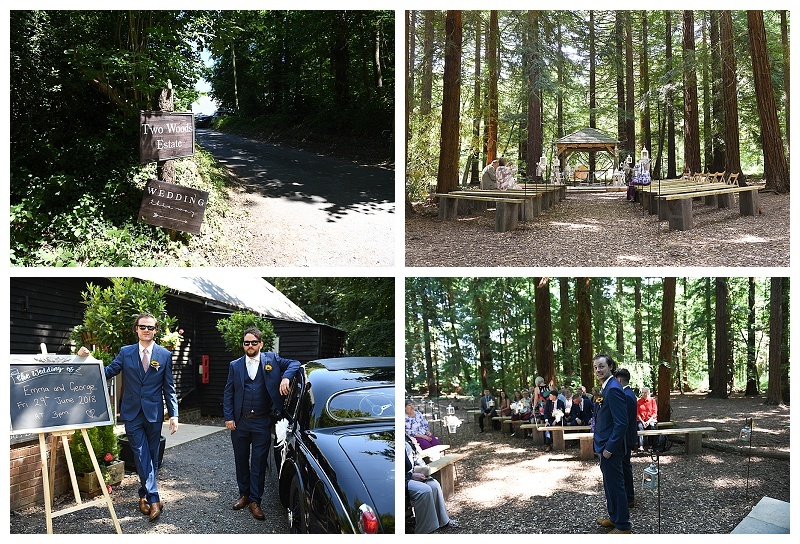 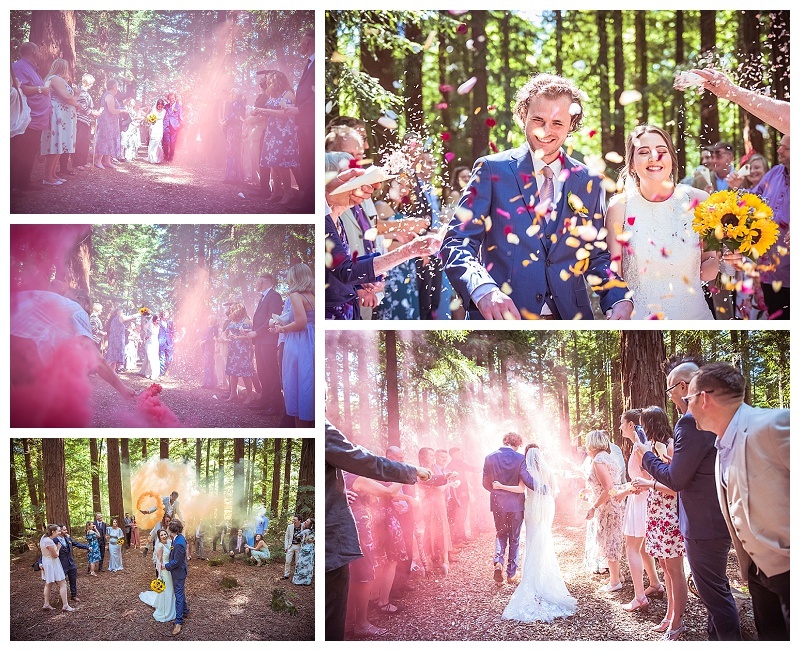 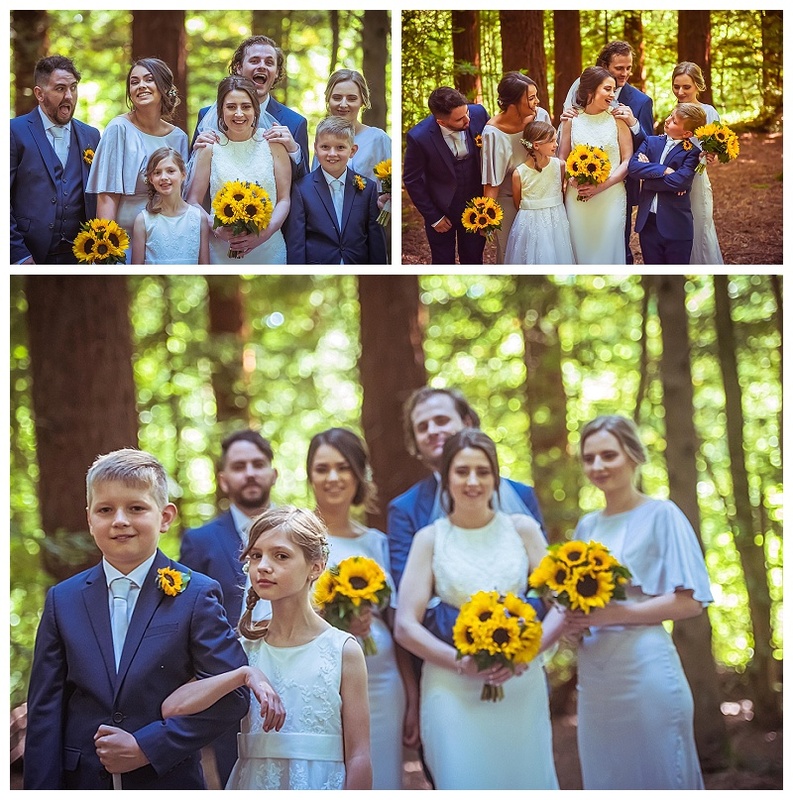 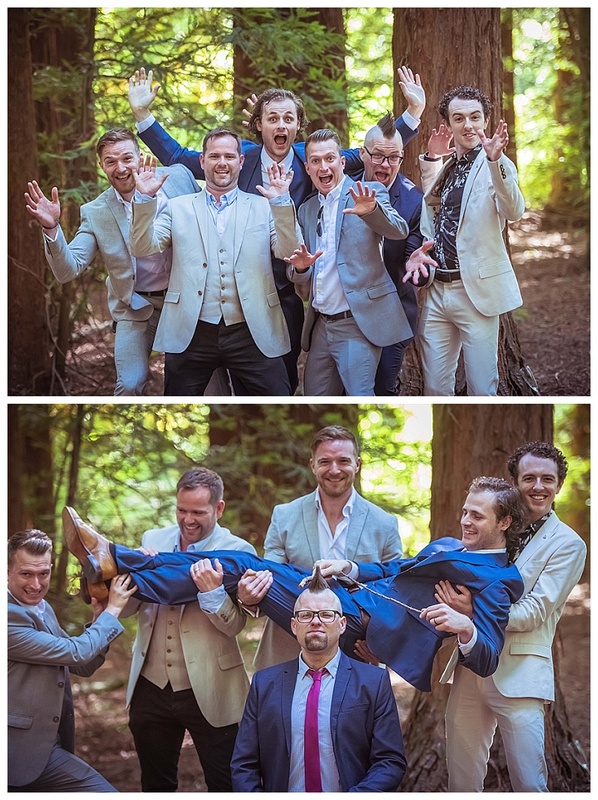 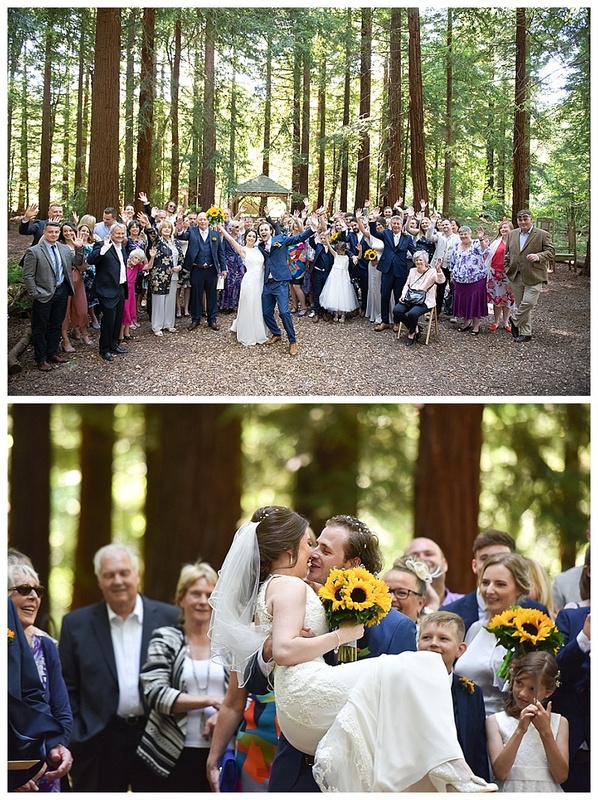 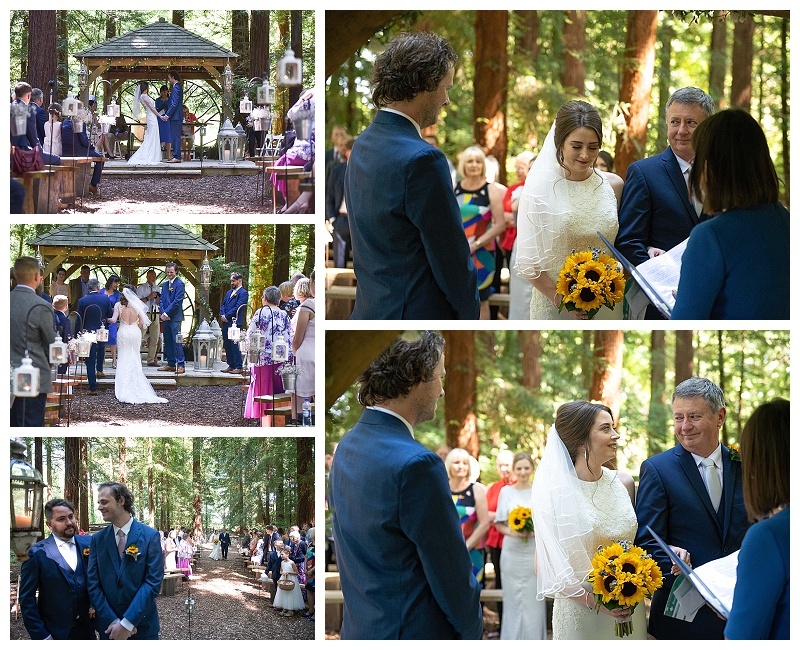 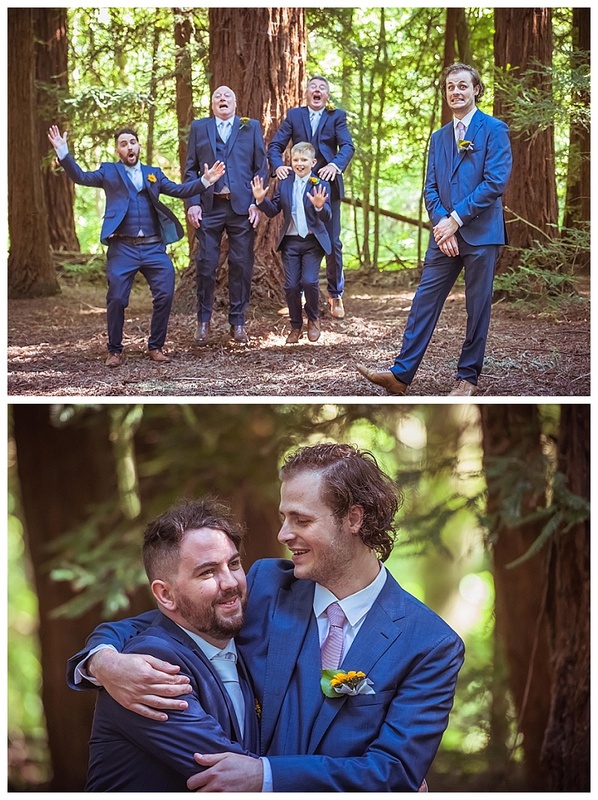 After the ceremony, exchange of rings and lovely First Kiss, we gathered them all outside for some gorgeous group photos accompanied with confetti throwing, then whisked the happy couple into the trees for some more great shots with them on their own. 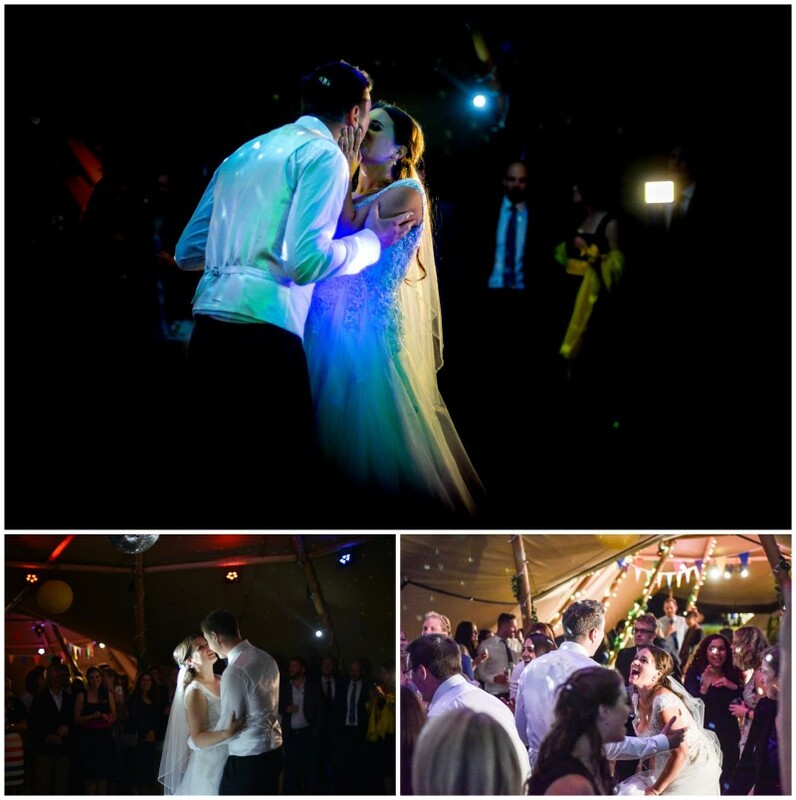 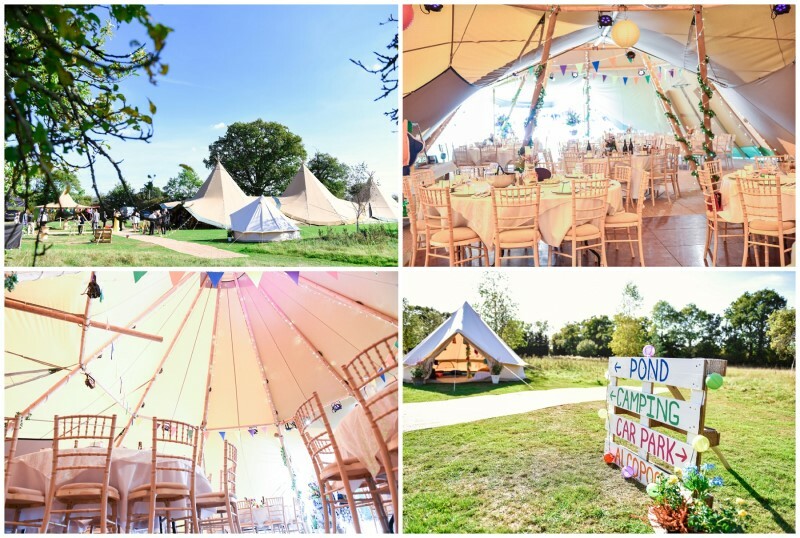 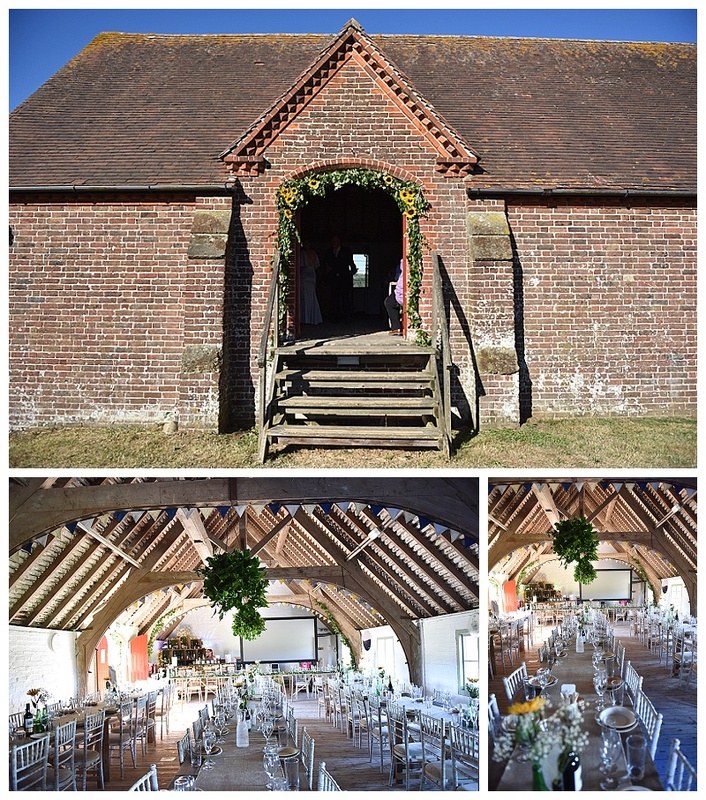 The next lovely location was Westmead Events, an incredible piece of land on which stood an enormous 3 hat tipi and various tents all joined with a seagrass pathway. 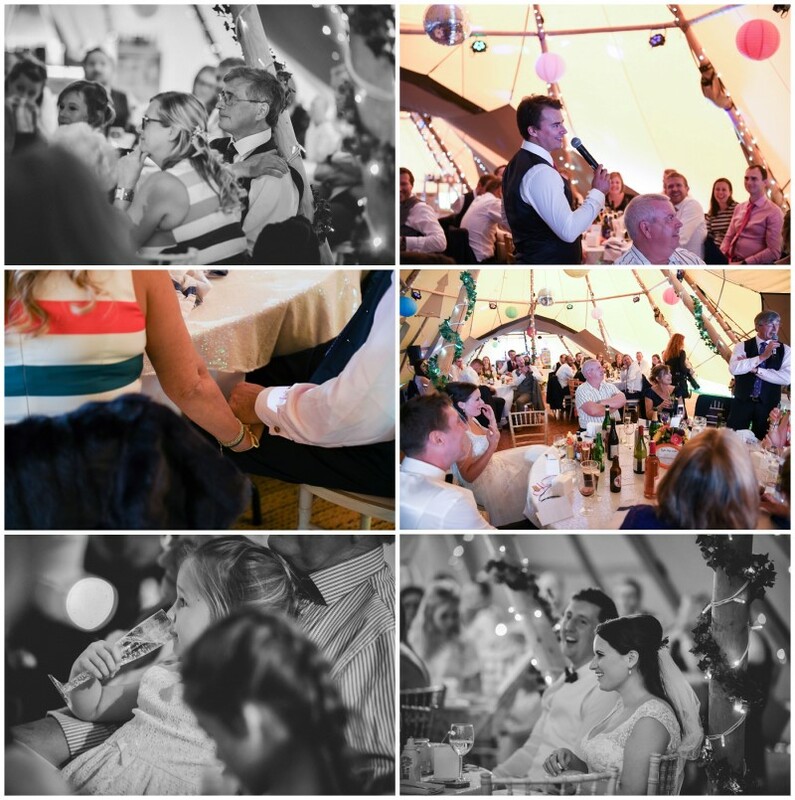 There were flowers, dress up tents and a paddling pool full of ice and bottles of drink. 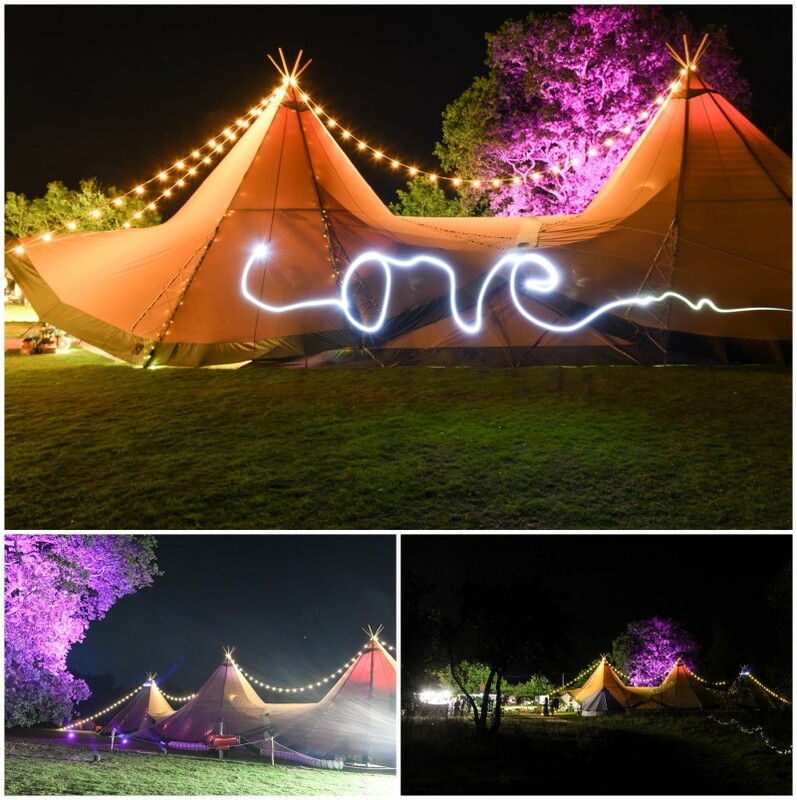 Once inside the tent it was even more special, it was beautiful, and it was HUGE. 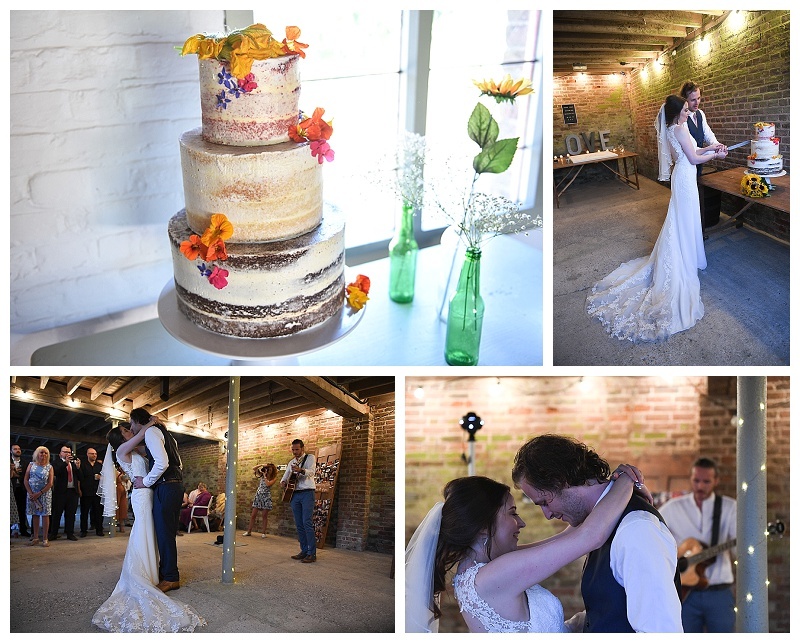 Pictures of the happy couple before they were married and personalised stationary were everywhere, there was a bar at the end set up by Mother and Father of the Bride, a gorgeous cake handmade by the Bride’s sister Gemma, fairy lights subtly twinkled, every type of condiment you could think of was placed upon the tables and we were seated and treated to the most beautiful food prepared by some truly talented caterers. 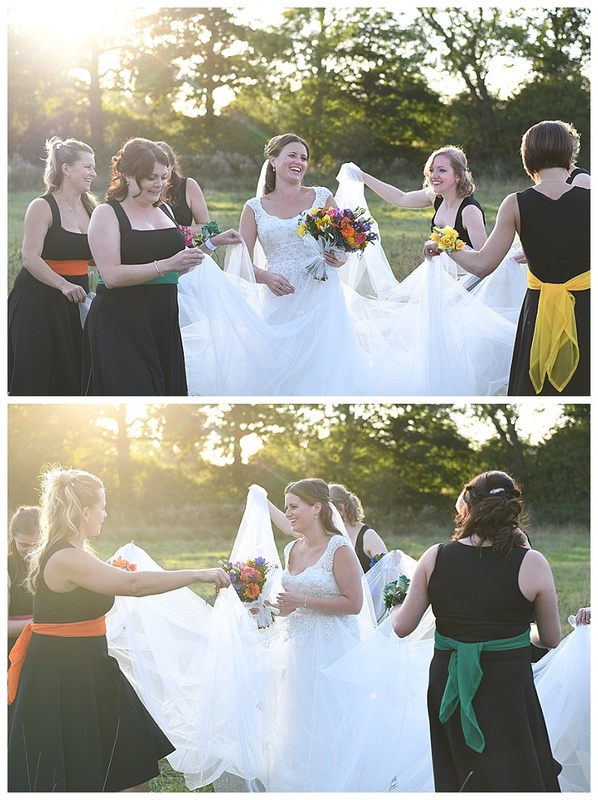 After eating we went outside to take some fun photos in the surrounding fields with the Bride, Groom, Groomsmen and Power Puff girls. 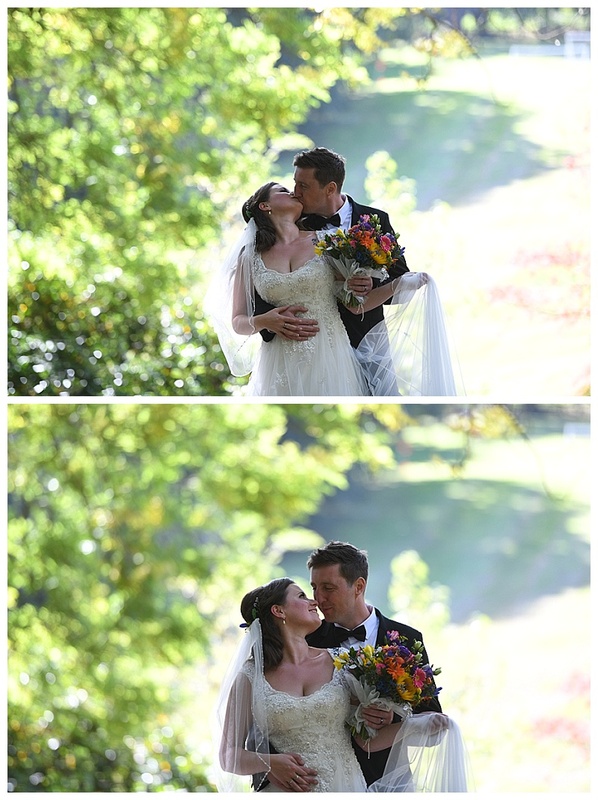 They were great and a pleasure to capture. 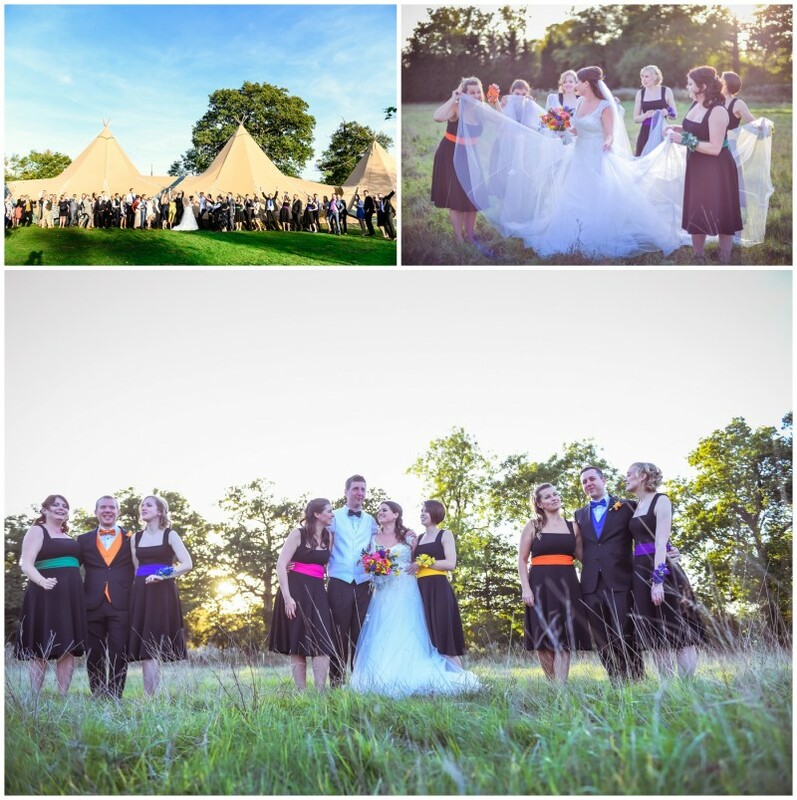 We returned to the tipi as the sun set and took our seats once more for the speeches to begin. 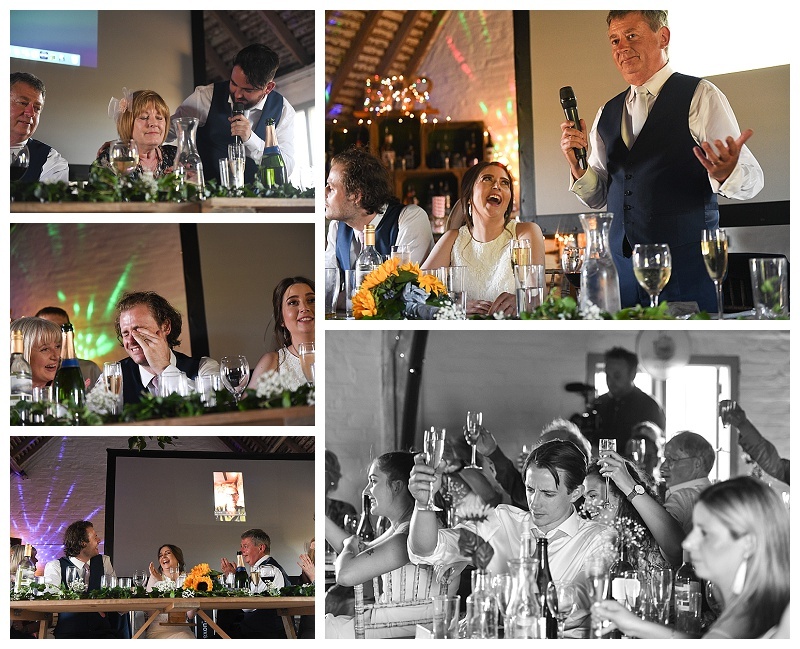 Laughter rung out as some interesting photos were handed around and tears seeped out as emotions were touched on by loving words spoken. 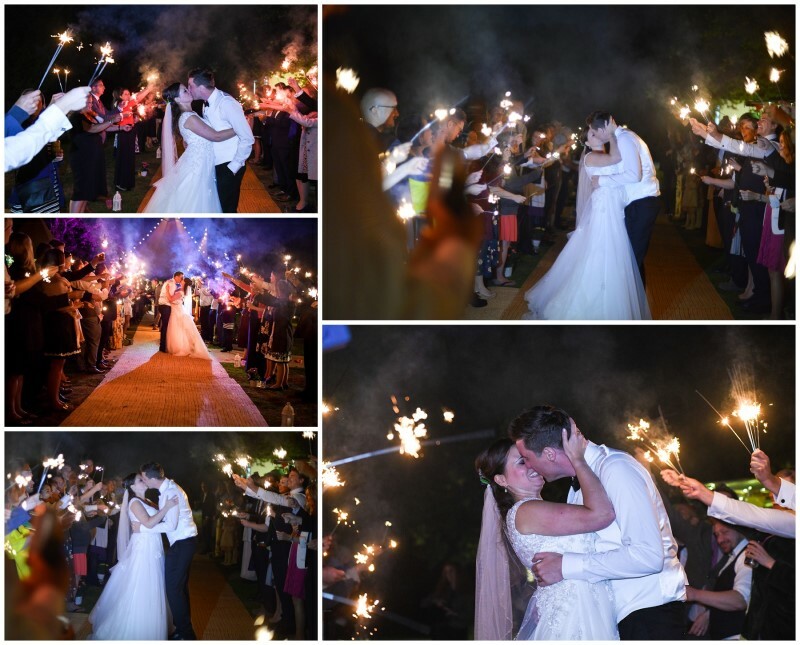 After the speeches we arranged a sparkler tunnel and took some lovely shots of the bride and groom running up and down as the sparklers danced around them. 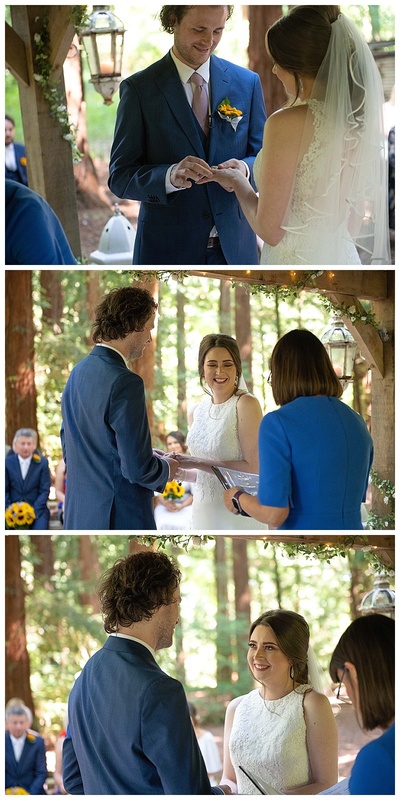 We then proceeded to gather around to watch Alan and Stephanie cut their cake and cooed as they took their first opportunity to dance as husband and wife while a playlist they had made was started. 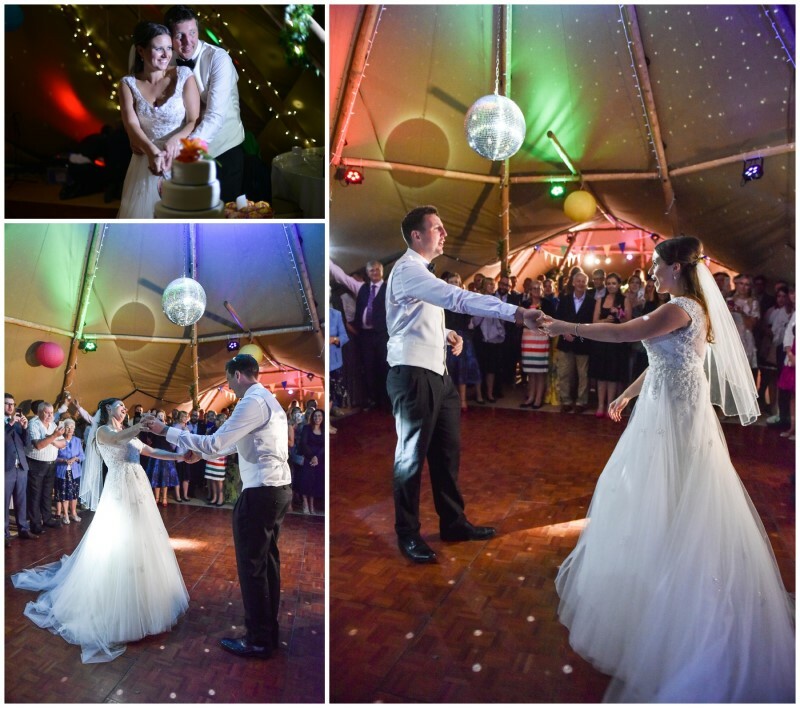 Everyone joined them on the dance floor; they were surrounded by smiley happy faces having fun. 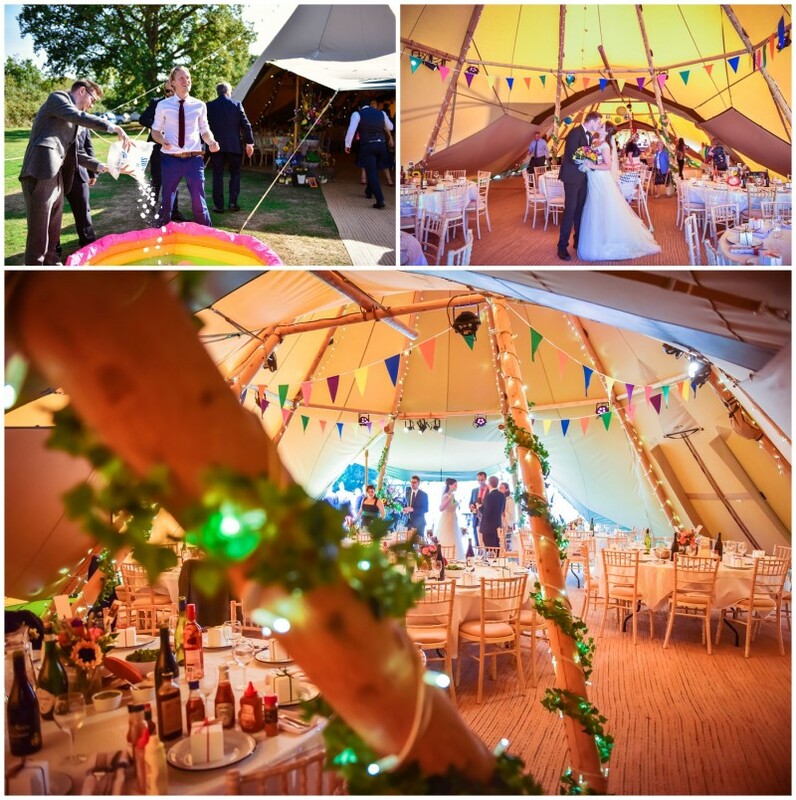 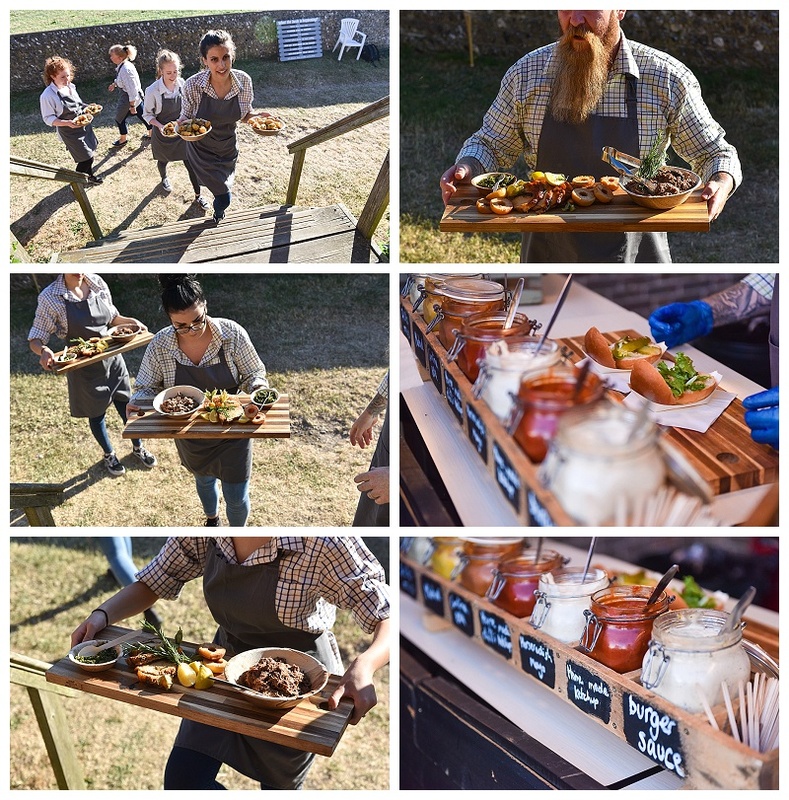 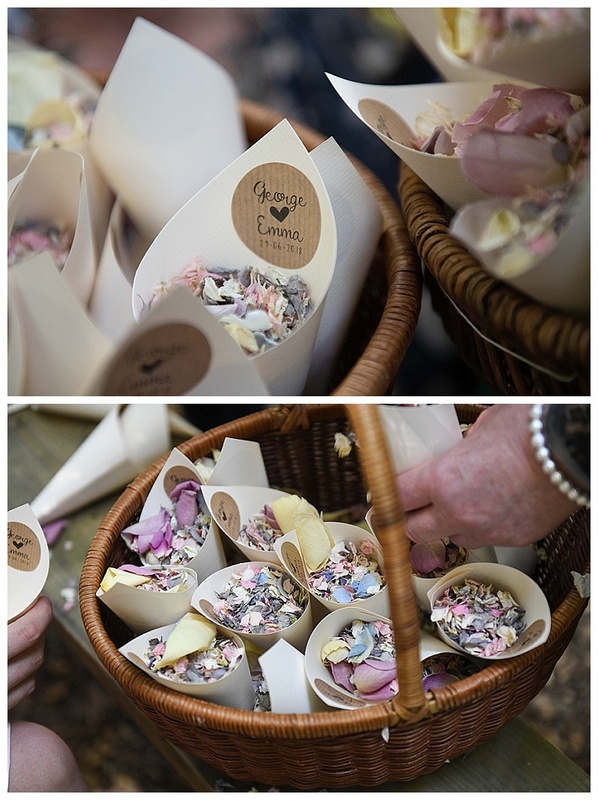 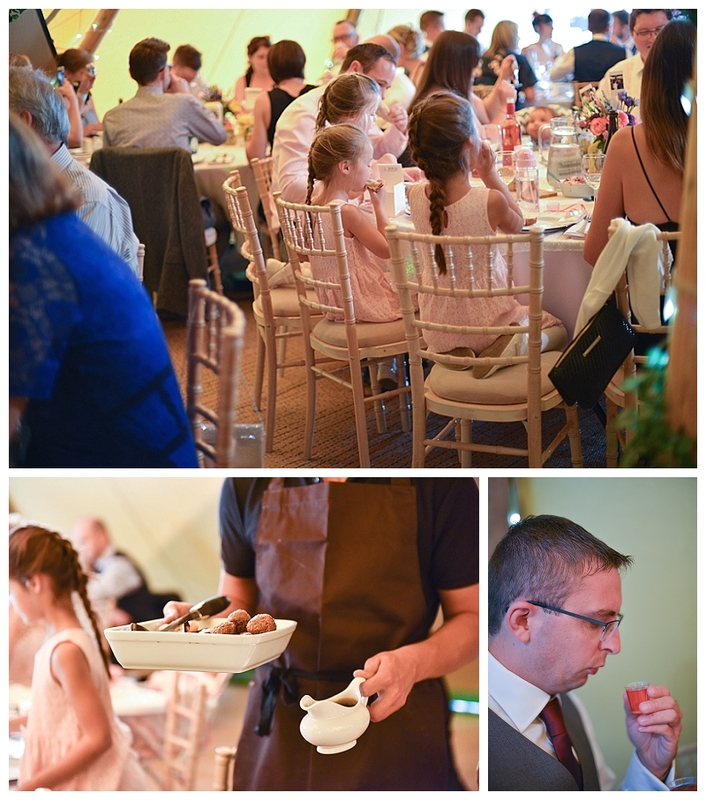 The caterers had more treats in store as they served an amazing choice of macaroni cheese or paella in cardboard dishes with wooden utensils, as we ate under the stars soaking up the atmosphere, we all agreed that this had been a wonderful wedding. 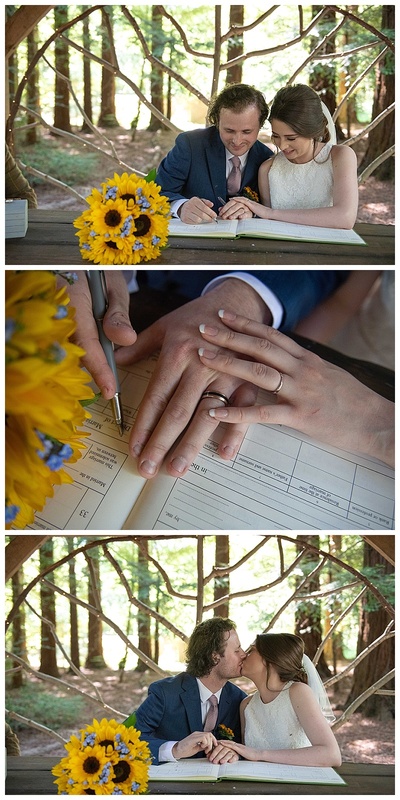 Thank you for allowing us to share your day.